The inaugural edition of RISING TALENT AWARDS UK invited six of the most influential UK design figures to nominate their own talent living and working in the UK. 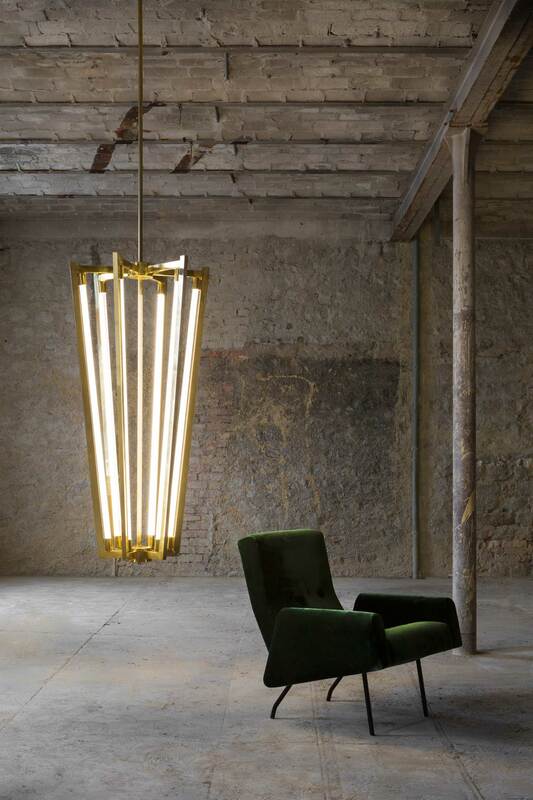 The six acclaimed designers included Sir Paul Smith, Tom Dixon, Ilse Crawford, Nigel Coates, Ross Lovegrove and Jay Osgerby, who chose Marcin Rusak, John Booth, Giles Miller, Sebastian Cox, Studio SWINE and Zuza Mengha as their UK RISING TALENTS. 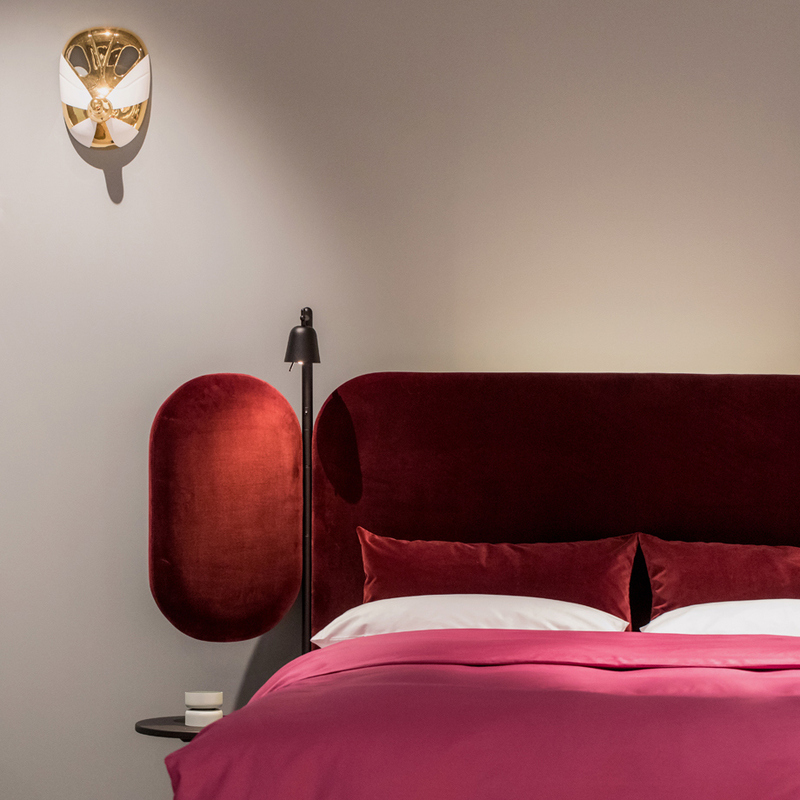 This year, MAISON&OBJET announced Pierre Charpin as The Designer of the Year, by showcasing his work in a space entirely designed by and dedicated to him. Born in 1962 in the outskirts of Paris to a family of artists, Pierre Charpin trained at the Bourges School of Fine Arts and developed his culture of design in Italy, working most notably alongside various figures from the Memphis Group. 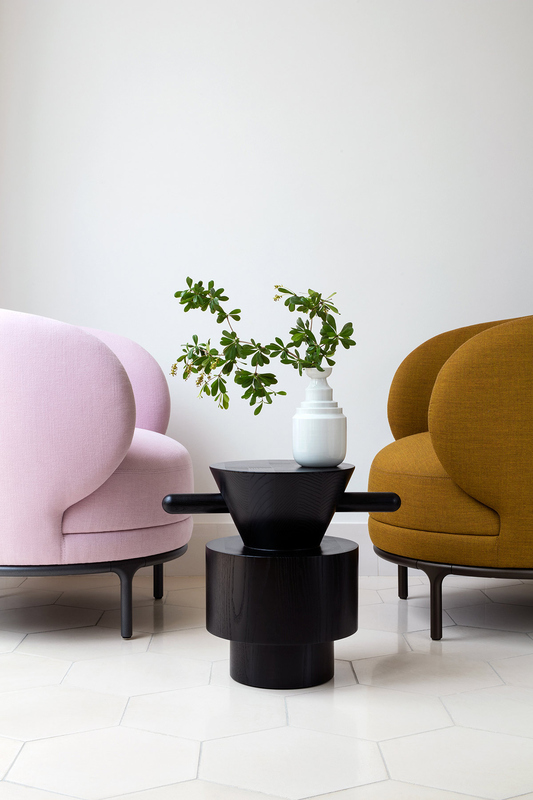 Since the early 1990s, Pierre Charpin has dedicated his work to furniture and object design, all the while pursuing a variety of research projects on materials and taking design commissions for world-renowned brands. He now lives in Paris and works in Ivry-sur-Seine. Meanwhile, back at the ranch, there was a lot of design to be seen throughout the halls. Which brings us to the punch line – below is our selection of the best new gear unveiled at MAISON&OBJET PARIS 2017. 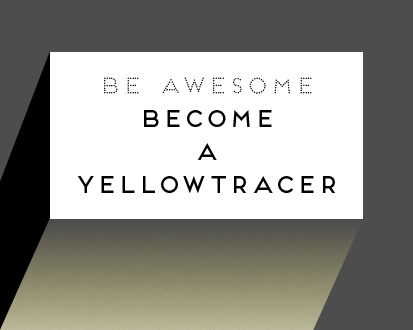 Get amongst it! 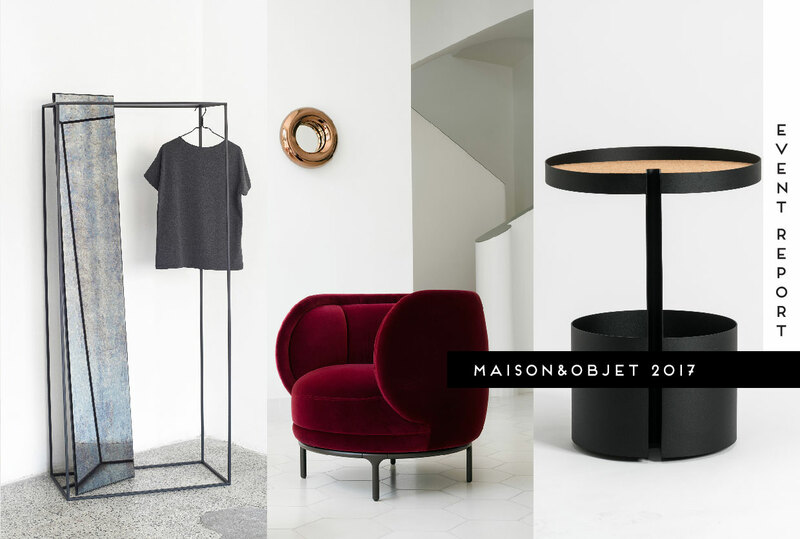 Maison&Objet 2014: Best In Show. 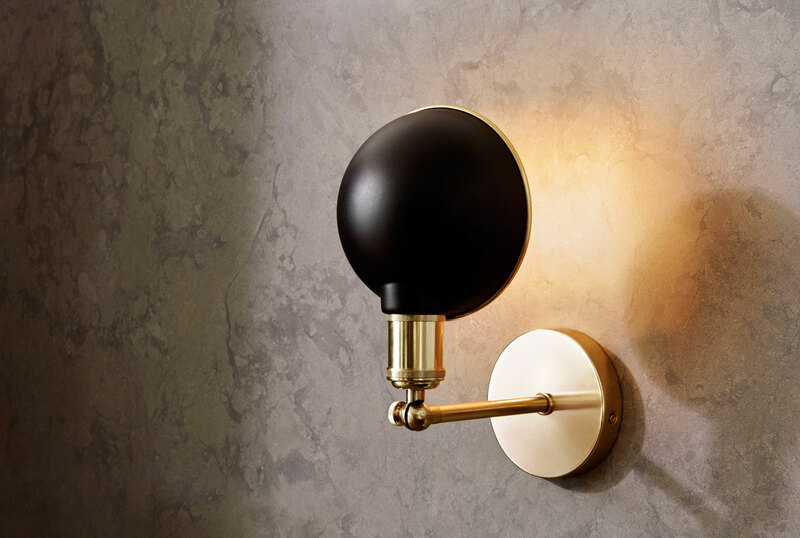 Wittmann Hayon Workshop designed by Jaime Hayon for Wittmann // Launching in during Vienna Design Week late last year, the Wittmann Hayon Workshop brings about a new style: one that is eclectic, exciting, Mediterranean-baroque, yet timeless. The collection is a collaboration between the hyper-creative Spanish artist-designer Jaime Hayon, and the Austrian manufacturer Wittmann. 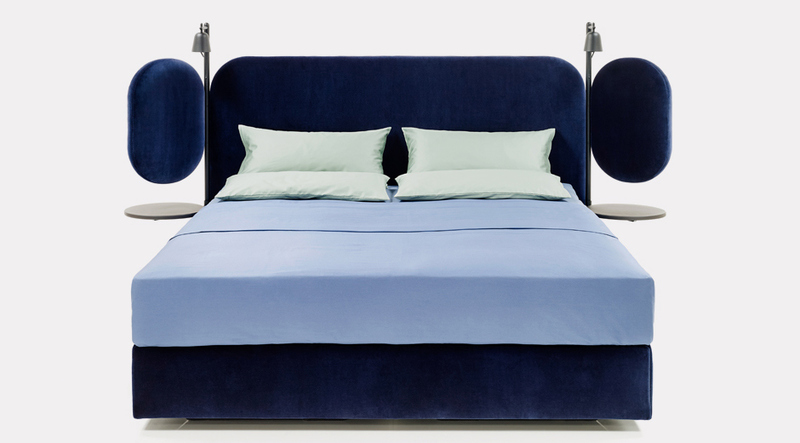 At M&O, the collection has expanded with the addition of the new wing bed and a collection of free standing shelving. Yum-yums all round. 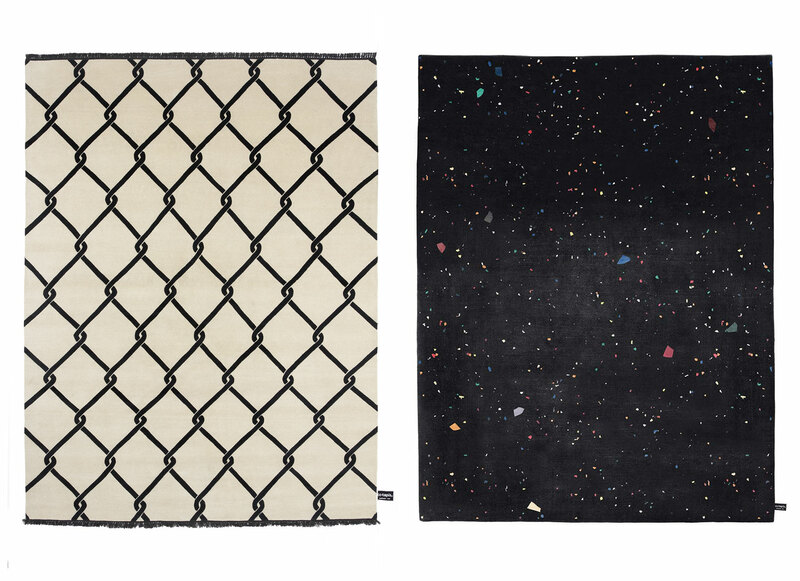 Maison Dada, SBD Rug No4. 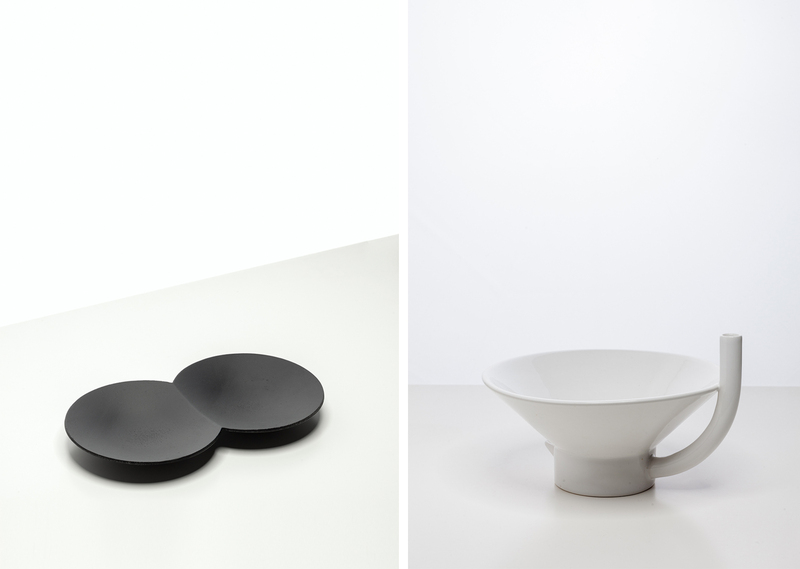 Maison Dada, Off The Moon Trays. Maison Dada, Sonia Et Caetera Table. Maison Dada, Off The Moon Collection. 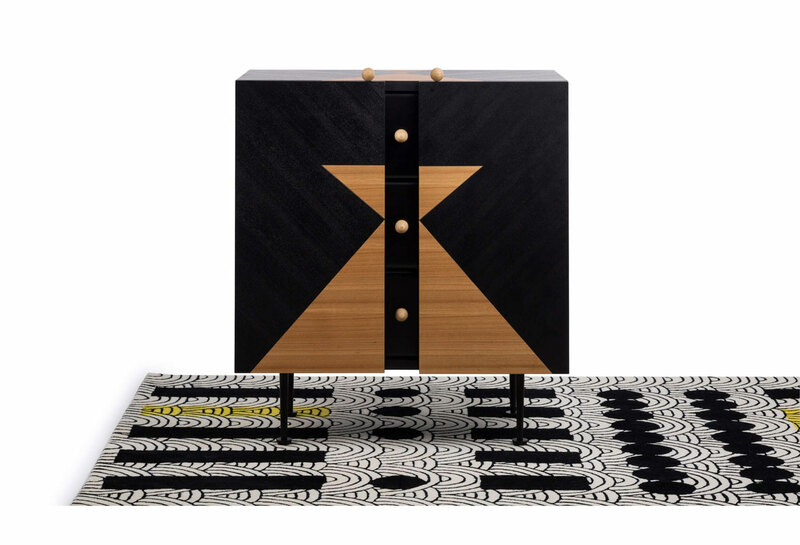 Maison Dada, Ying & Yang Cabinet. Debut collection by new Shanghai-based brand Maison Dada // Launched in 2015, Maison Dada is the brainchild of Thomas Dariel and Delphine Moreau, born out of the wild dream to inject a dose of Dadaism into everyday lives. 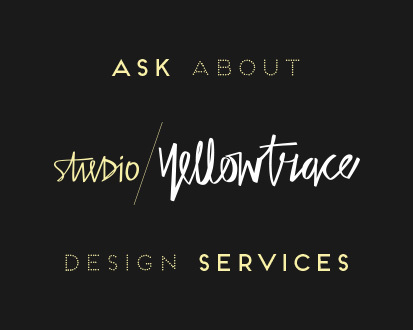 The brand develops furniture, lighting, rugs and accessories with the desire to create the unexpected from ordinary objects, the will to harmonise dreams and reality. 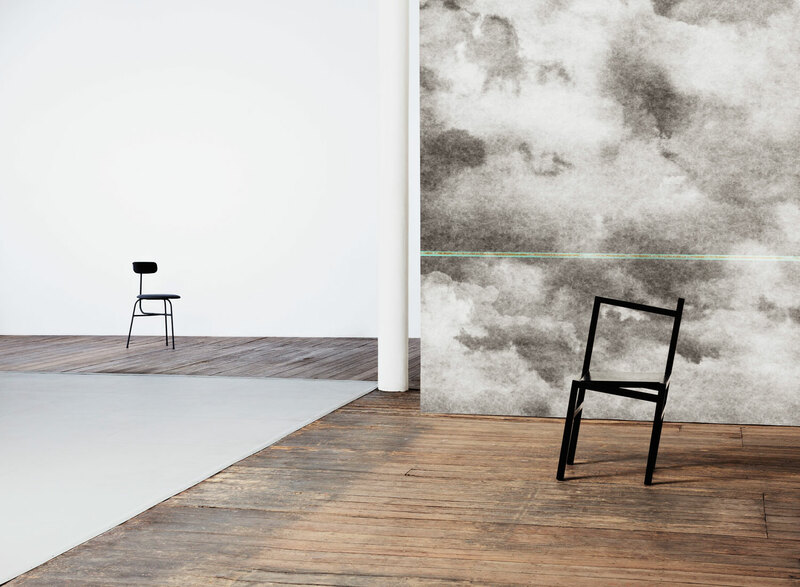 “Maison Dada takes its name from Dadaism. This is for me one of the most significant art movements of the 20th century; as I consider it to be the foundation of contemporary design, contemporary art and a contemporary way of thinking. Dada is a state of mind. That freedom is part of my signature, even for interior design. Maison Dada first collection is a reflection of that. Of an unrestrained imagination that brings life into objects. I don’t want un-animated furniture. 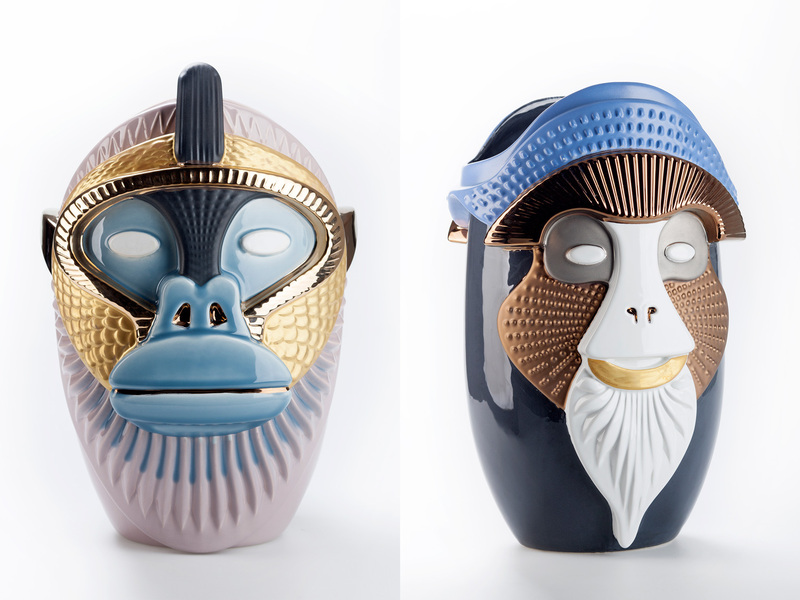 I like them to have a soul, to tell a story”, explains creative director Thomas Dariel. 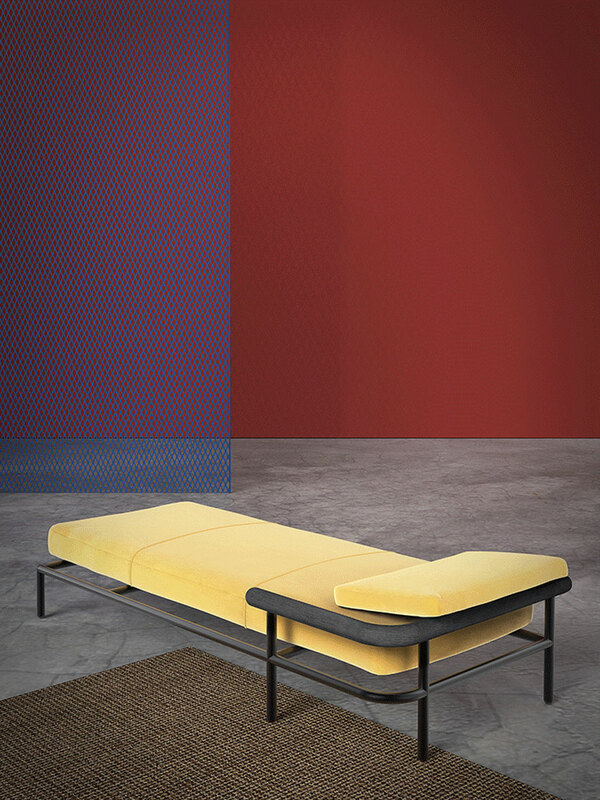 BRERA Bench by Marco Zanuso. 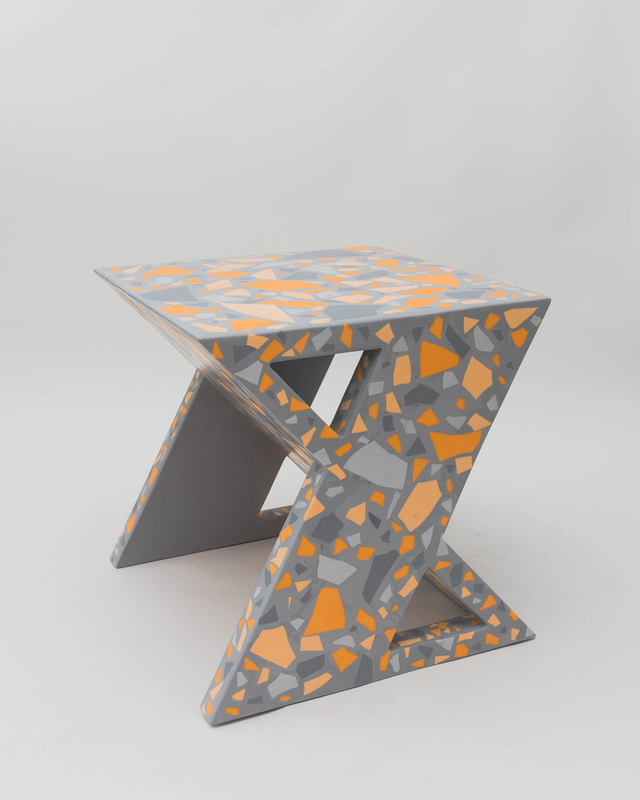 Soho Table by COEDITION Studio. 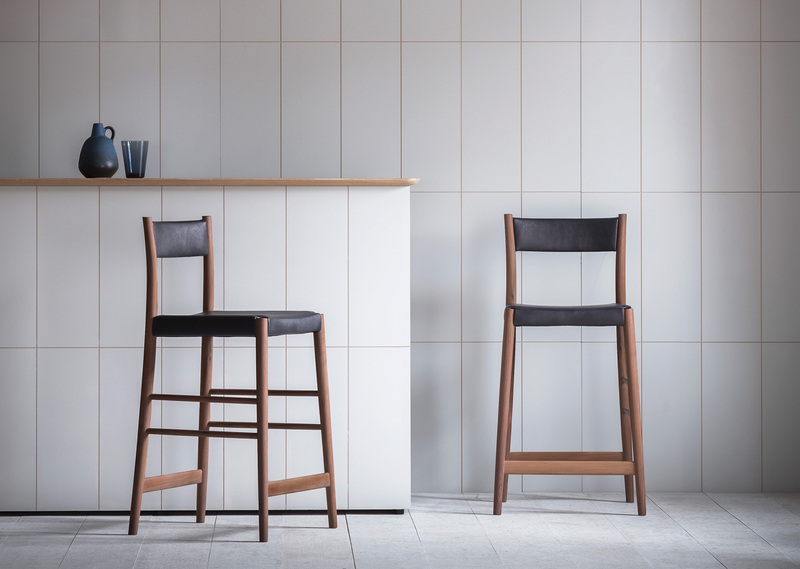 DAO Barstools by Shin Azumi. 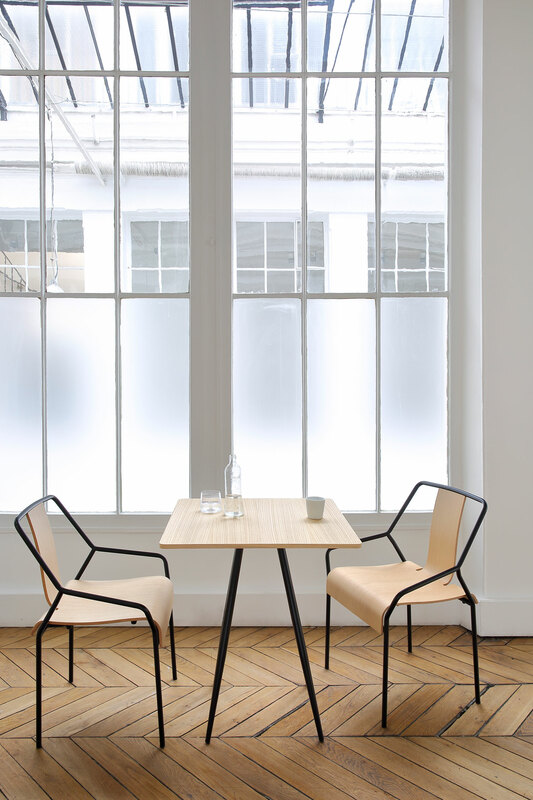 New furniture pieces by COEDITION // COEDITION continues to purse its role as an editor of modern and creative French furniture by expanding its collections to include exceptional new products designed by a range of highly acclaimed designers. 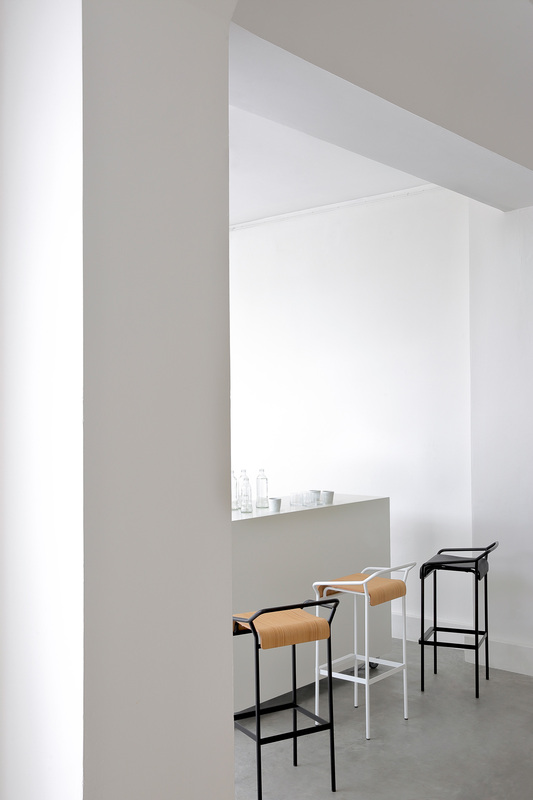 New release of note is the Dao barstool by Shin Azumi, nominated for the EDIDA Award. 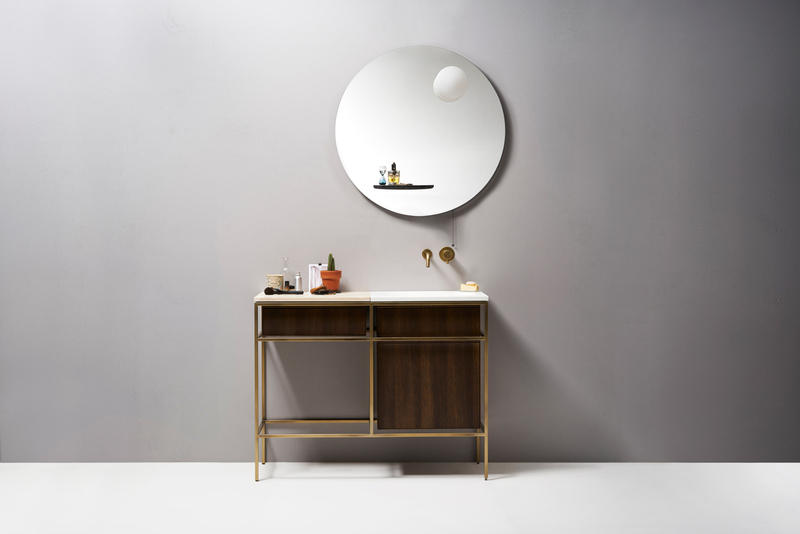 Coedition studio also introduces new finished to expand their existing SOHO collection. 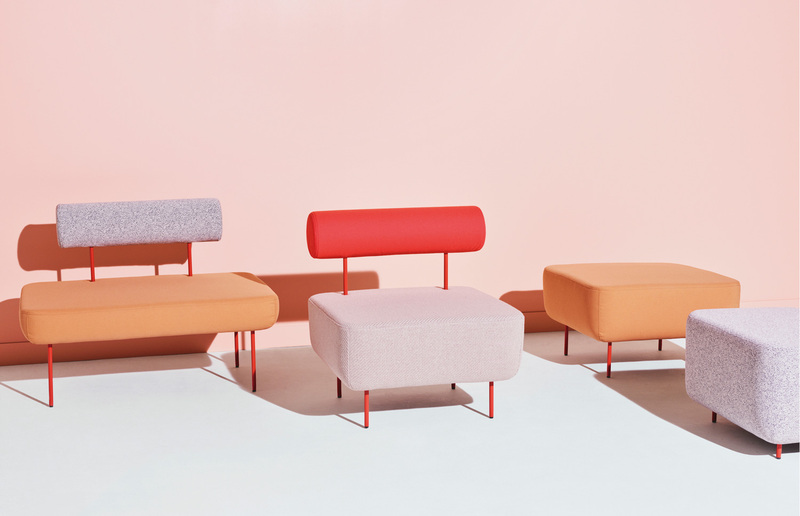 New furniture pieces from PINCH // London-based design studio PINCH, founded by Russell Pinch and Oona Bannon, have launched a new coffee table Rodan, and upholstered Avery bar stools. 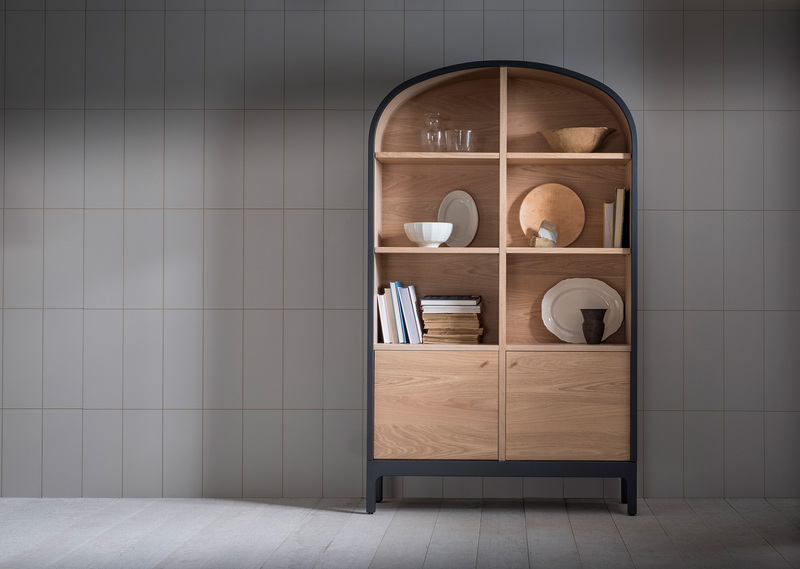 Although not newly launched, Maison et Objet 2017 marks the first international presentation of the Frans drinks cabinet, Emil dresser and Avery upholstered chairs. 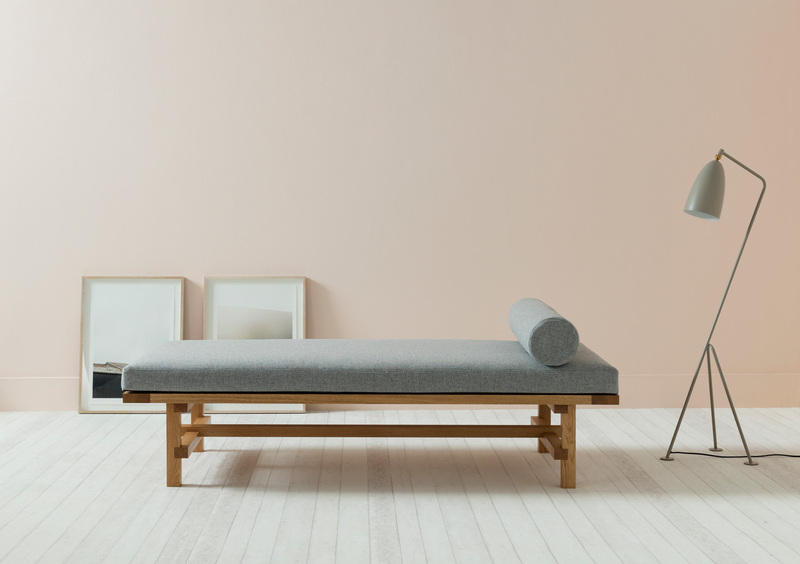 X Ray Collection by Allair Gilles for La Chance // Following the 2015 X-Ray sofa launch by the Belgium designer Alain Gilles, the La Chance collection is now complete with a daybed, an armchair and an ottoman. 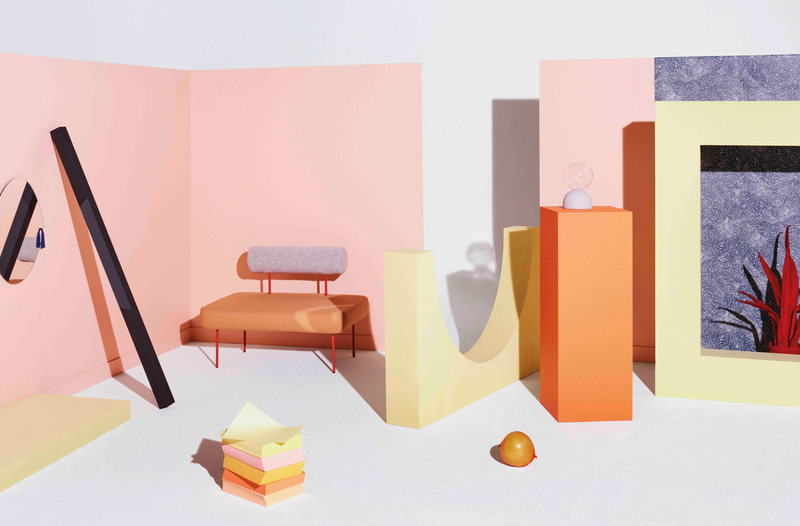 Photography by Florent Tanet & set design by Ella Perdereau. Villa P.F. 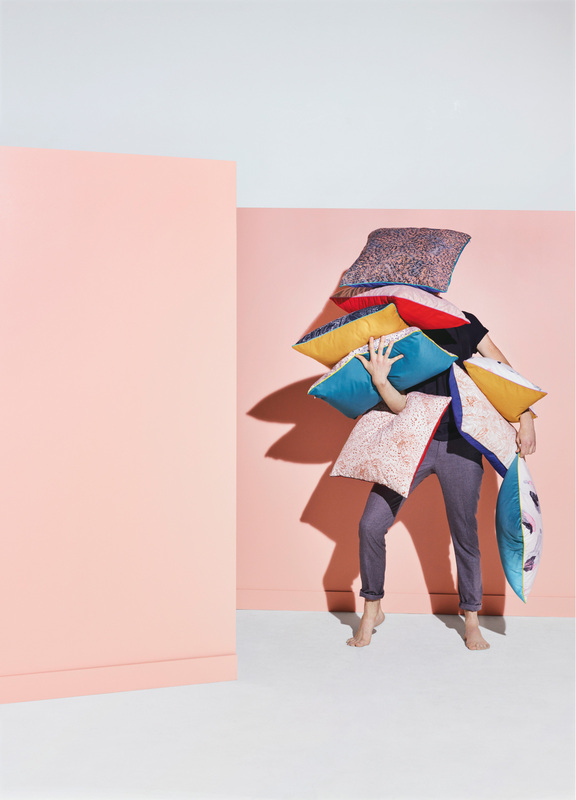 collection by Petite Friture // French design brand Petite Friture showcased their playful new collections of furniture, lighting, wall coverings, textiles and home accessories. 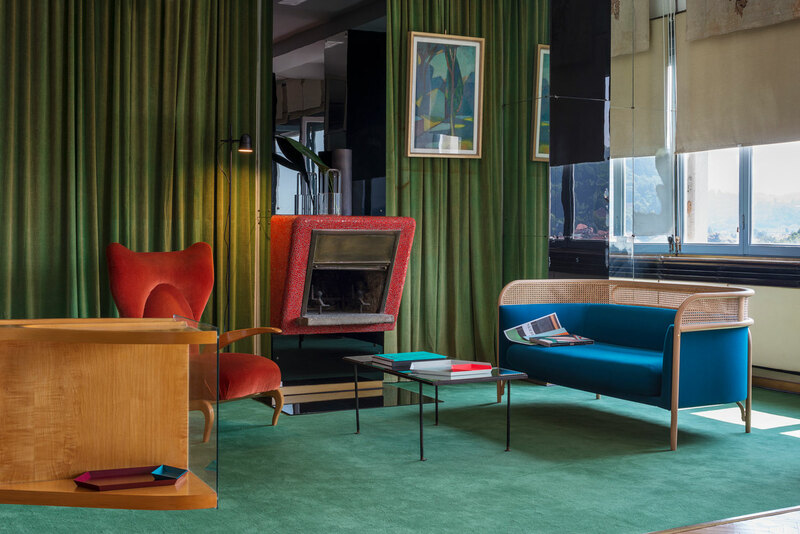 Taking inspiration from all design disciplines – product, graphic art and architecture – Petite Friture has created Villa P.F., a magical and modernist environment in which it showcased vibrant new wares, inviting visitors into the Petite Friture world. The Villa’s residents are of course its rich line-up of international design talent. 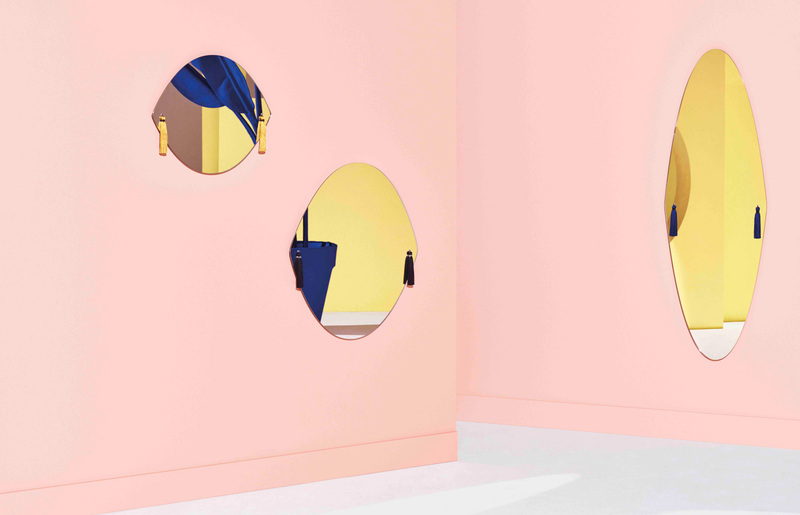 Petite Friture entrusted Mexican based illustrator Ana Montiel with the plans for Villa P.F.. Seeing the world through her drawings, Montiel has created a series of prints to reflect the modernist landscape, merging the brand’s shapes and patterns. 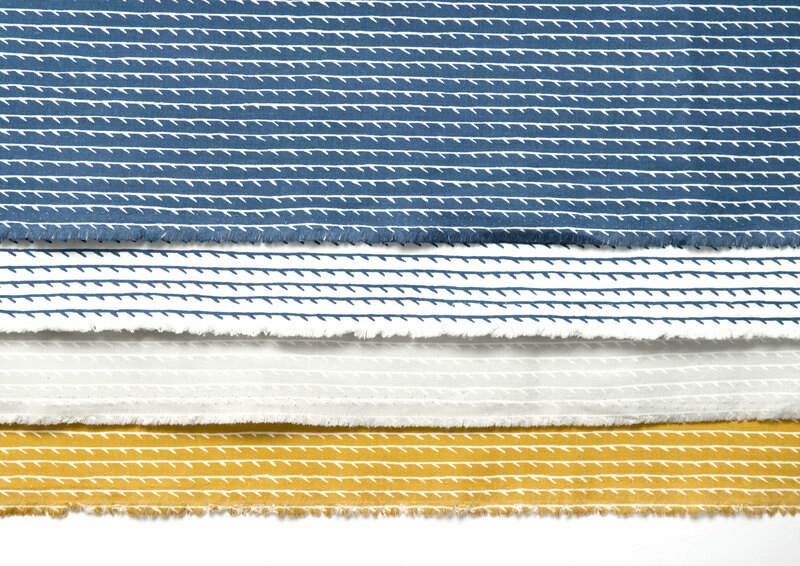 Artek hand-drawn ‘Rivi’ fabrics by Ronan & Erwan Bouroullec. See the Bouroullec brothers’ hand-drawing process in this video. Special edition of Alvar Aalto ‘L-Leg’ table. 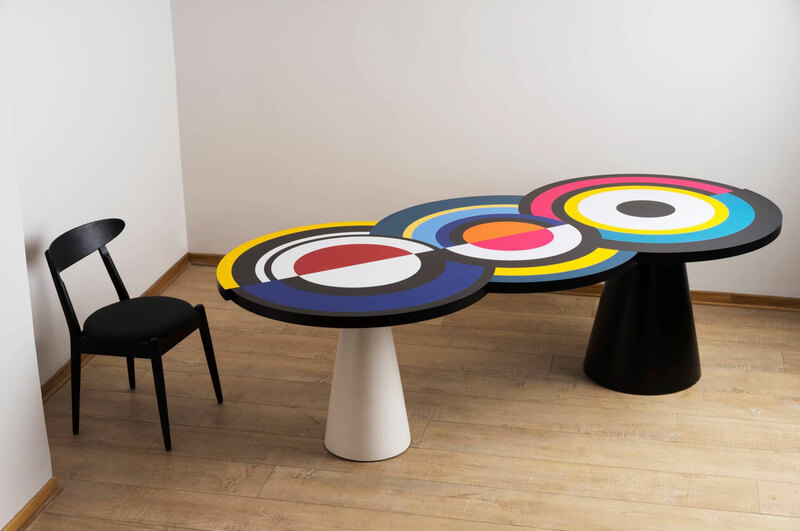 ‘Rivi’ textile & Special Edition of Alvar Aalto ‘L-Leg’ table by Artek // Artek presented Rivi: a new textile pattern designed by Ronan & Erwan Bouroullec. Rivi – meaning “line” in Finnish – is based on a handmade drawing of parallel lines that extend in both directions without end. 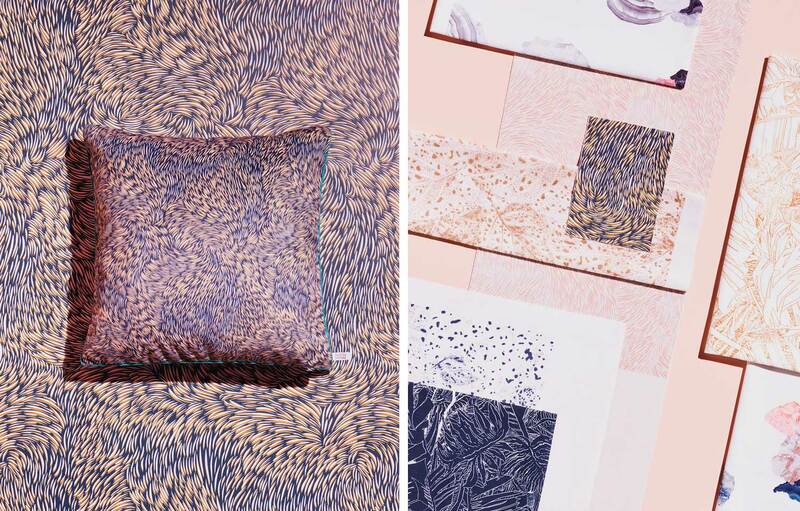 This is the first textile pattern by Ronan & Erwan Bouroullec for Artek. 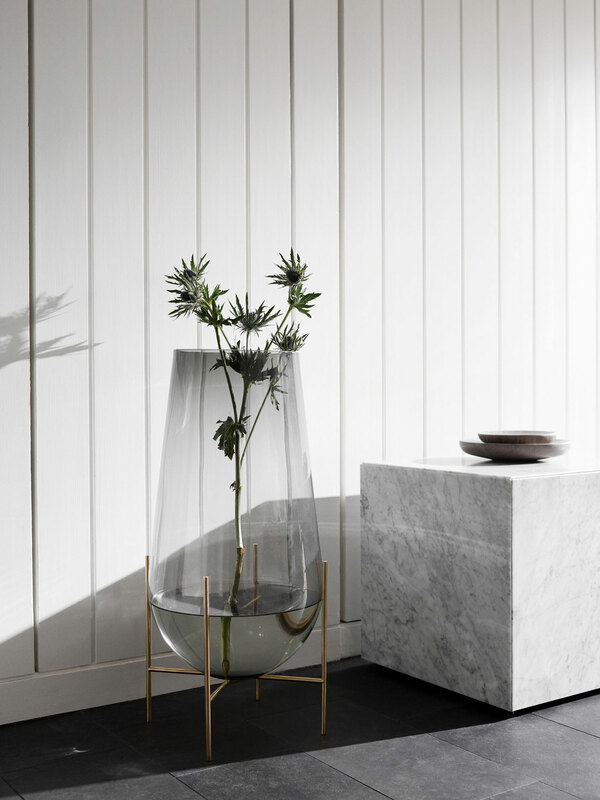 The Finish brand also celebrated the centenary of Finland’s independence by introducing several of Alvar Aalto’s L-Leg products in a stone white lacquer and new linoleum surface colours. These Finland 100 specials will be available throughout the anniversary year. 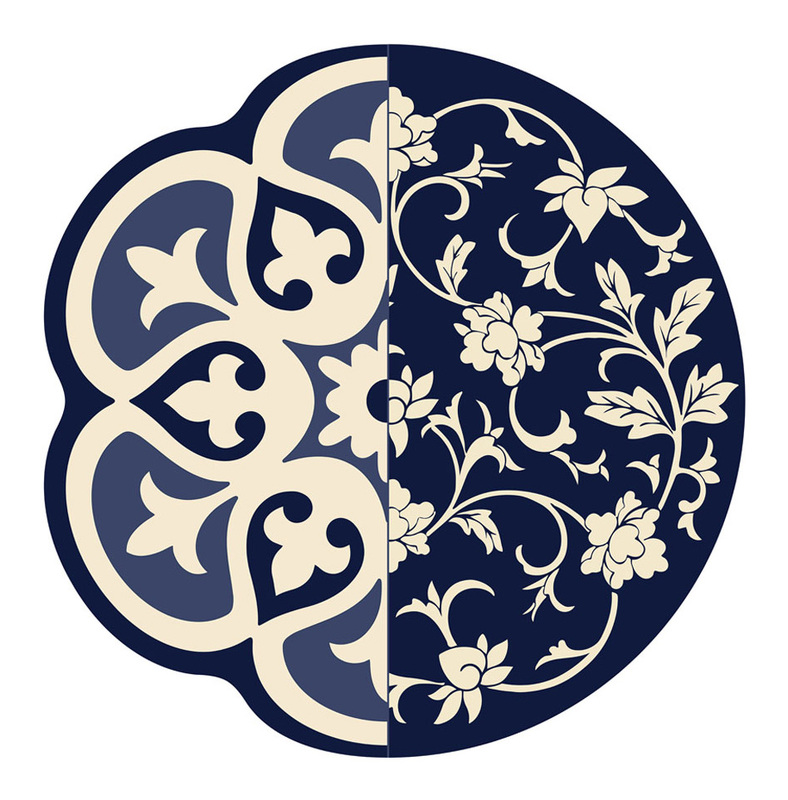 Left: AB, Centre Piece designed by Joschua Brunn. 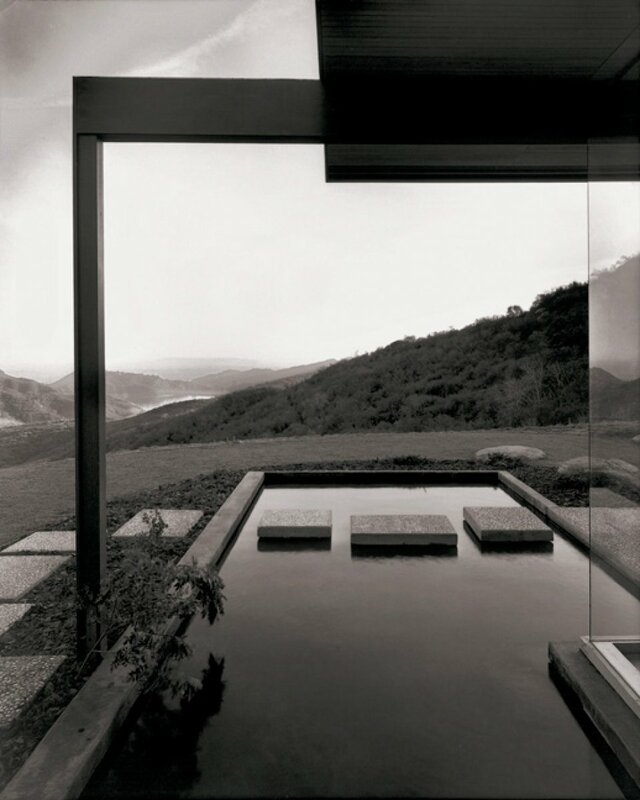 Right: Spout, Fruit Bowl designed by Manuel Amaral Netto. 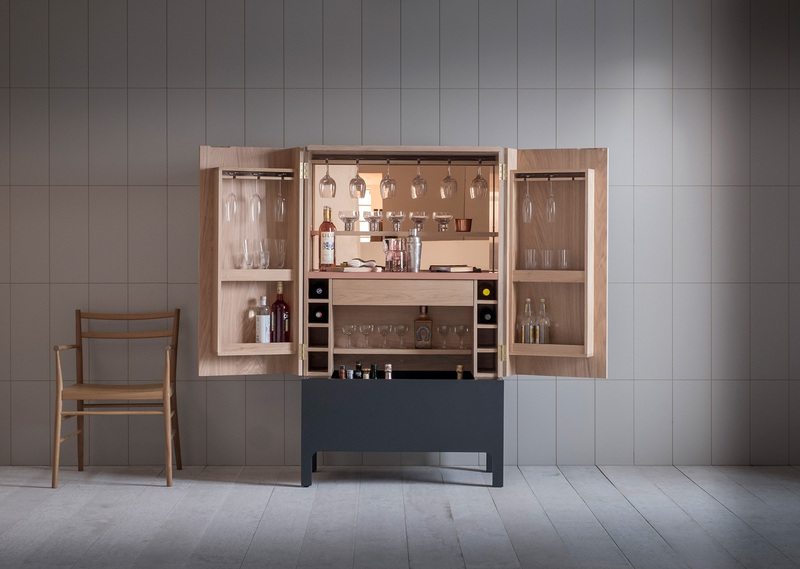 Left: Basso, Mini Bar designed by Manuel Amaral Netto. 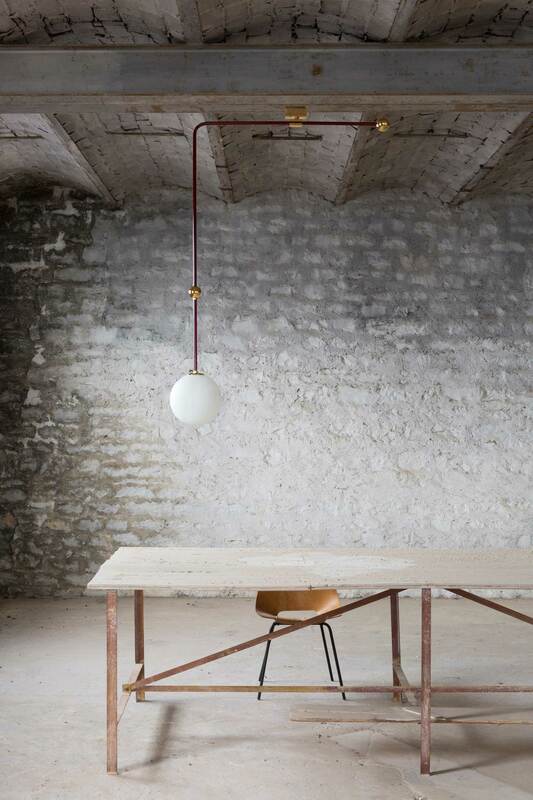 Right: Kite, Suspended Lamp designed by Manuel Amaral Netto. 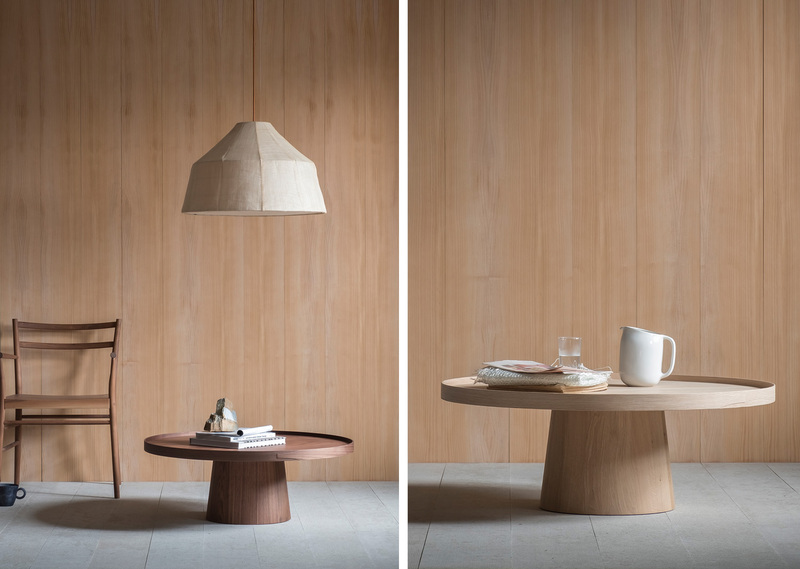 Left: Oyster, Stool designed by Geckeler Michels. Right: Dual, Carafe and Glass designed by Relvão Kellermann. Photography by Nuno Sousa Dias. 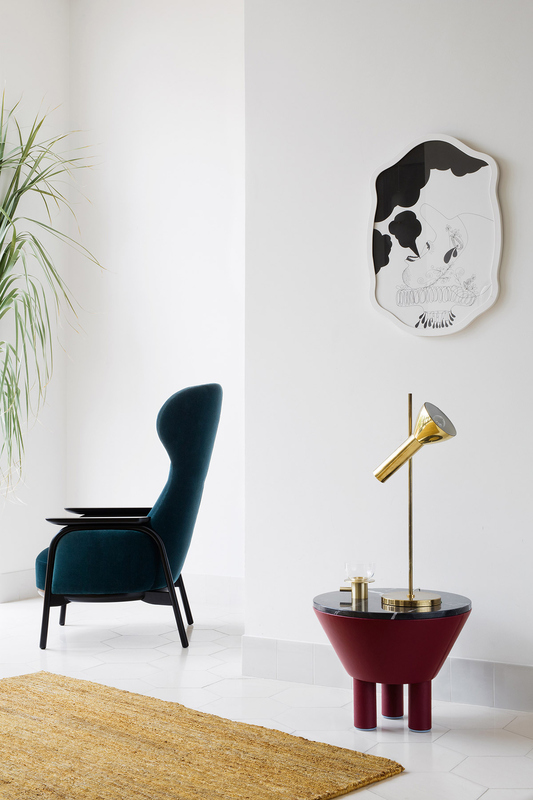 Debut Collection by UTIL // Debuting at Maison & Objet Paris 2017, UTIL is a furniture and accessory brand designed all around Europe and produced in Portugal. 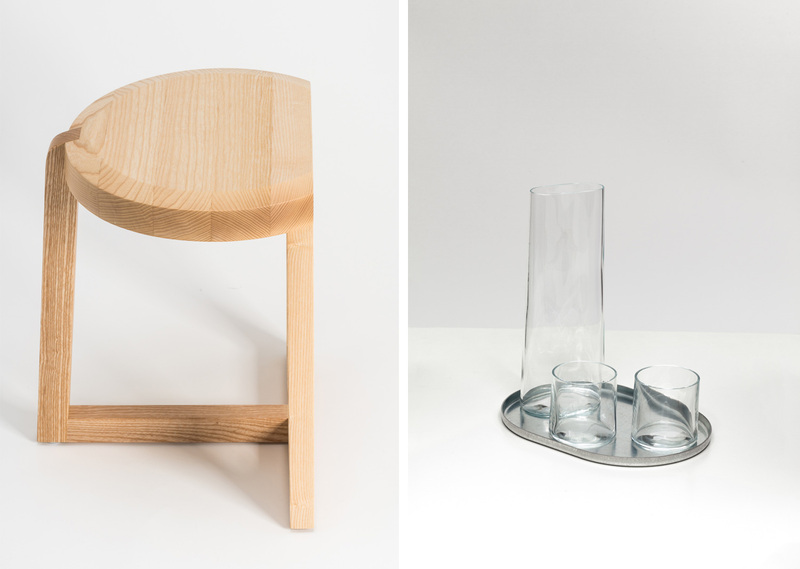 Together with some of the best emerging young designers, the collection was developed focusing on the social and hospitality side of everyday object. The debut collection is thought as narrative which kicks off the moment you open your front door. The coat hanger Hal (not shown) is at first a high wall shelf where you drop your keys but also hang your coat underneath, de-cluttering the view of your hallway. 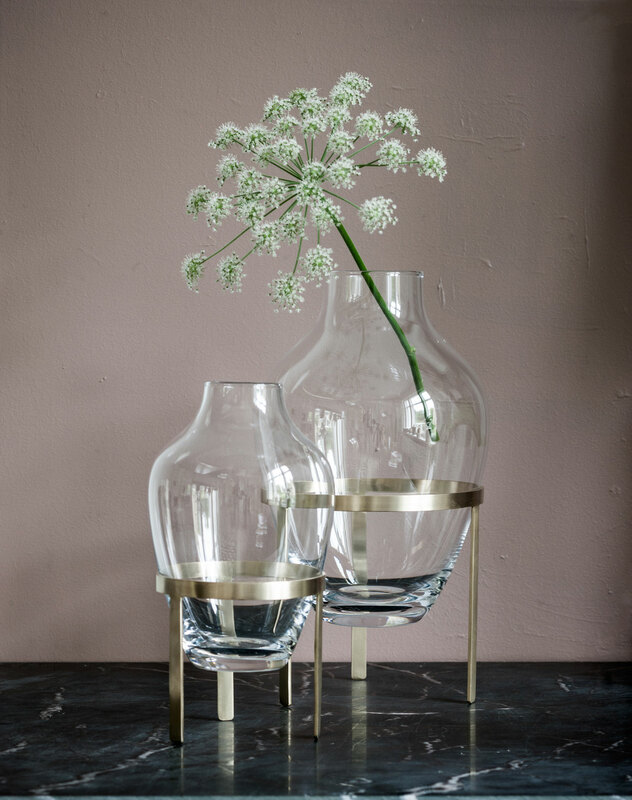 You politely ask your guest if they wish something to drink and so a tray comes with an elegant and sophisticated set of carafe and glasses, designed by Relvão Kellermann. Your home is always ready to seat that extra guest since you have Oyster. 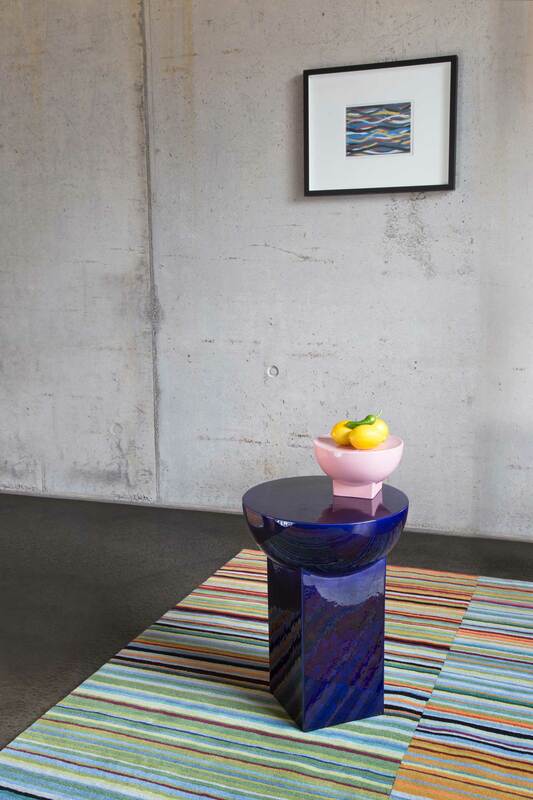 A solid ash stool, designed by Geckeler Michels, Oyster can also function as a table. The conversation is getting interesting and we don’t want it to stop there. It is then that Basso comes along. A mini bar on wheels which keeps your bottles on the bottom bucket and its top serves as a tray with a cork mat for your glasses. The Spout on top of the table keeps your fruit well rinsed and ready to pick. These and all of the other products make the best out its materials in an honest manner and define the details with the care they deserve. 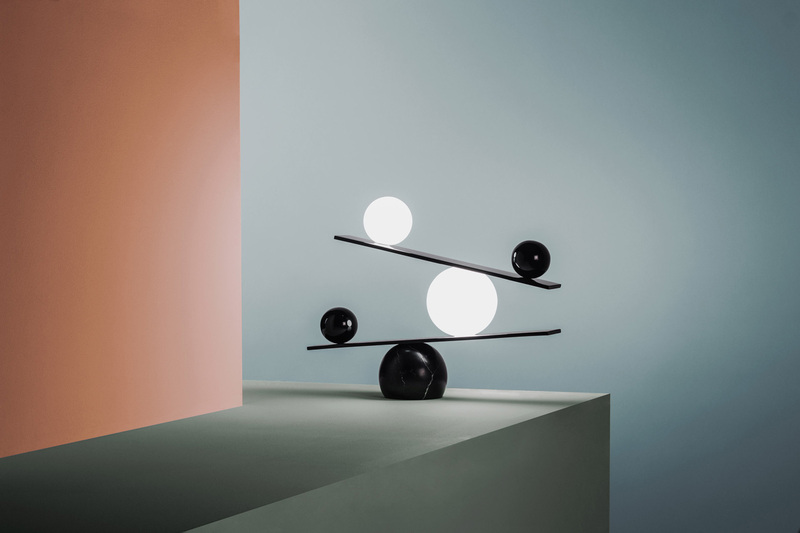 Balancing Lamp by Victor Castanera for Oblure // This LED lamp by Spanish designer Victor Castanera features a series of orbs precariously balanced between two steel shelves. 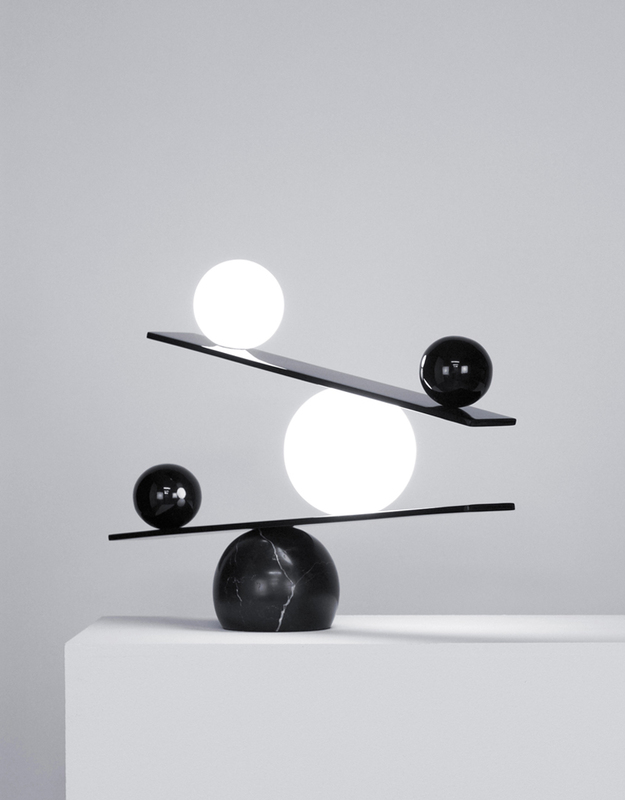 The spherical components are all different in size, designed to achieve a “perfect balance”. 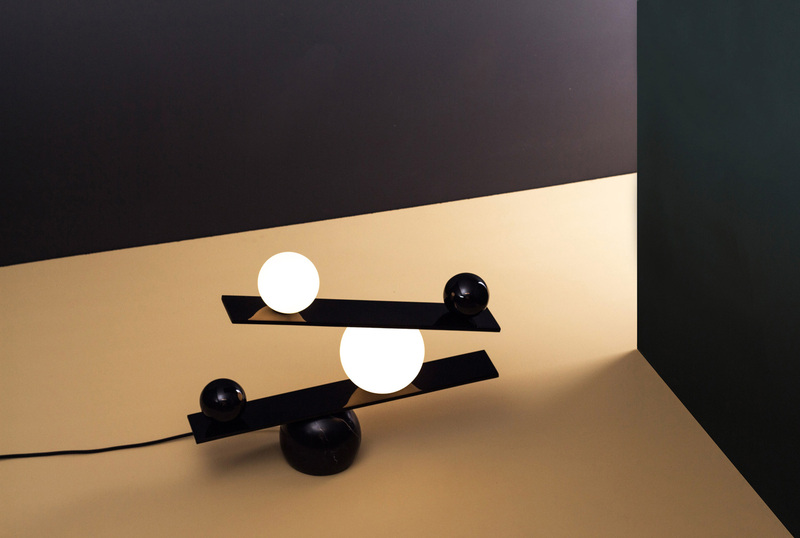 The lamp’s base is made from heavy black marble in order to help steady the structure, while delicate hand-blown glass orbs sit around the light bulbs, slotted between the angular steel shelves. Black metal spheres create the right amount of density, also acting as a counterweight to the glass orbs. 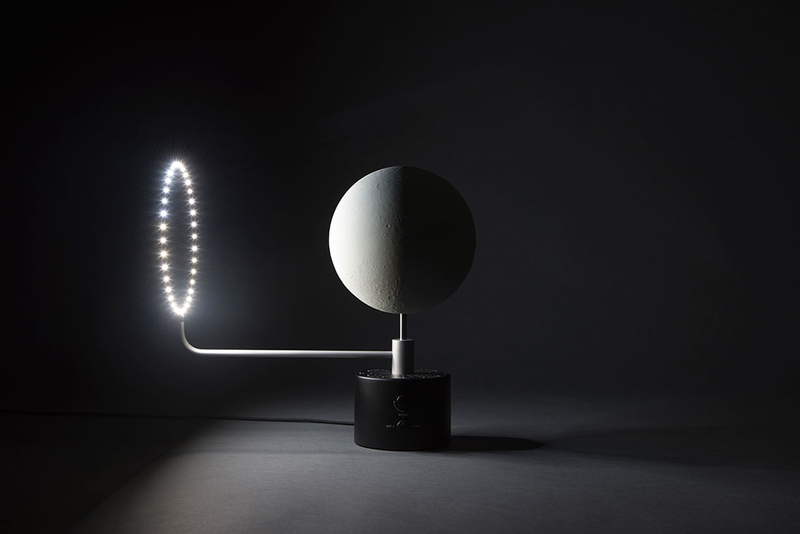 MOON (the most accurate lunar globe) by Oscar Lhermitte with Kudu // MOON is the first topographically accurate lunar globe, displaying the current lunar phases at any given time. The project involves the use of the latest data from NASA’s Lunar Reconnaissance Orbiter combined with advanced electronic and mechanical engineering alongside careful craftsmanship in mould making. The result is a truly accurate 1/20 million replica of the Moon with surface features in every detail. 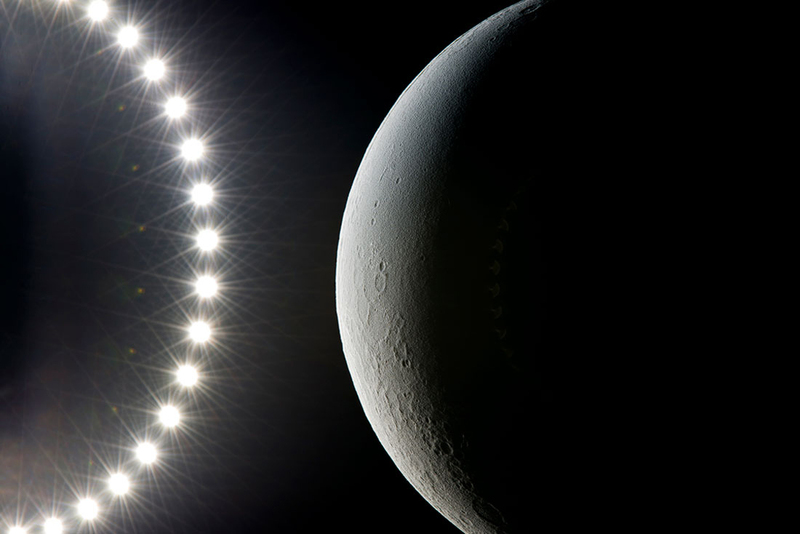 A ring of LEDs revolves around the globe, constantly illuminating the correct face of the moon and recreating the lunar phases as seen from Earth. The project is a result of 4 years of work and was successfully launched on Kickstarter in April 2016. 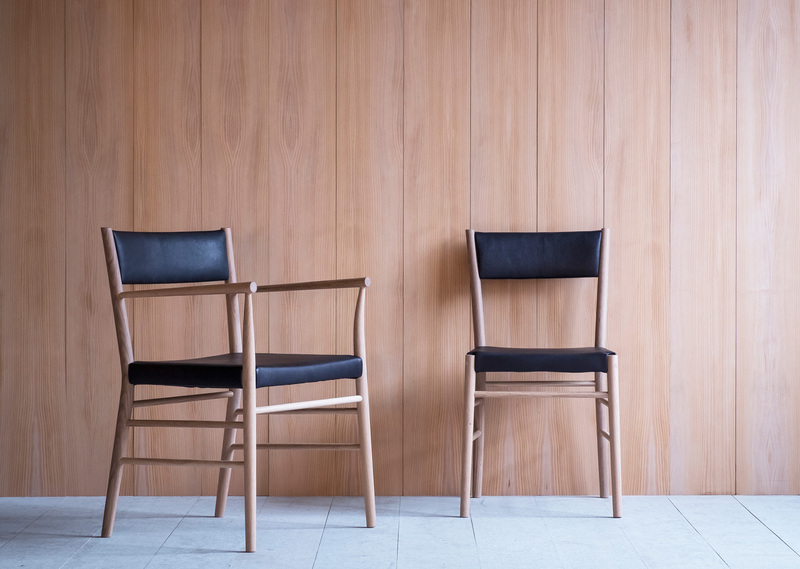 Another Country launch Series Four in partnership with Begg & Co. // Another Country‘s first collection since launching Series Three in 2013, Series Four stems from their study of traditional English kitchen table design and 20th Century modernism. 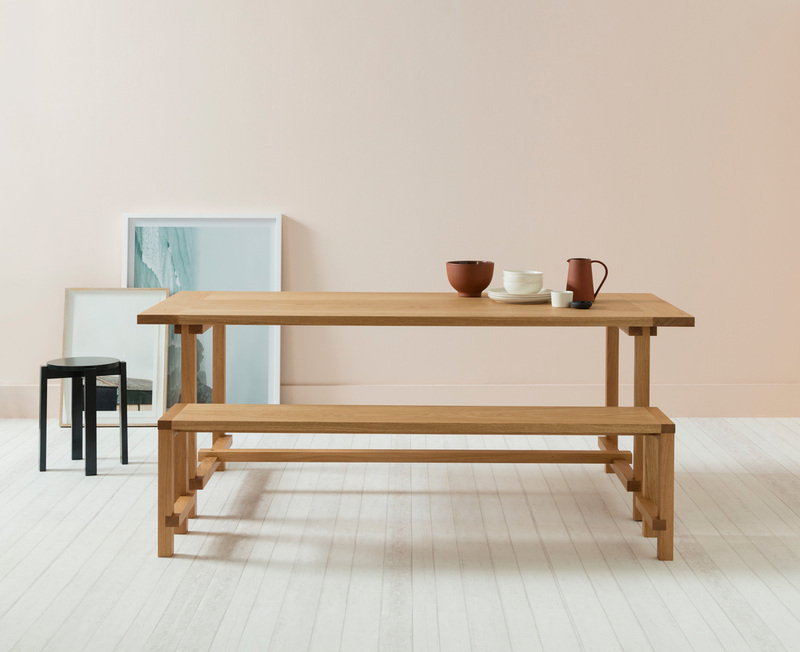 Created for both the contemporary home as well as commercial environments, the new Series Four range includes a dining table, bench, stackable low stool, bar stool and day bed, produced in a range of different sizes in solid and engineered oak versions, alongside a lacquered option. 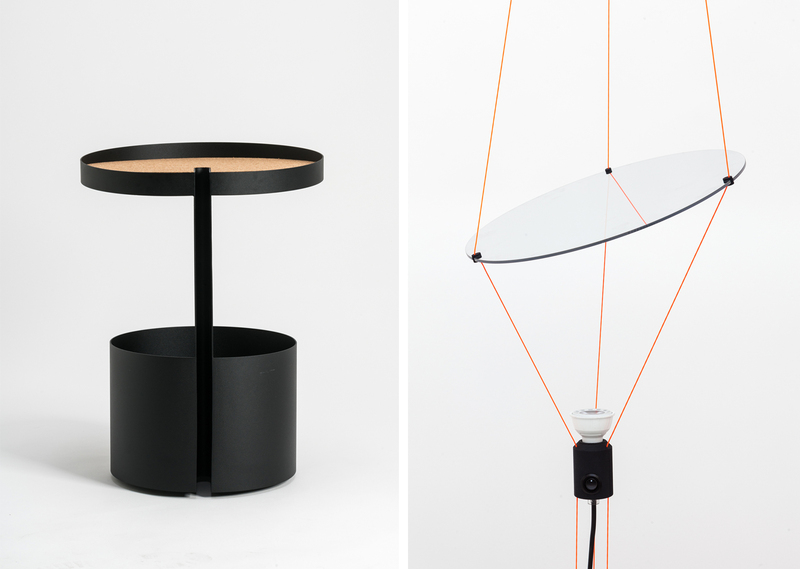 Left:Kilo Lamp. Right: Fliegenbein Pendant. 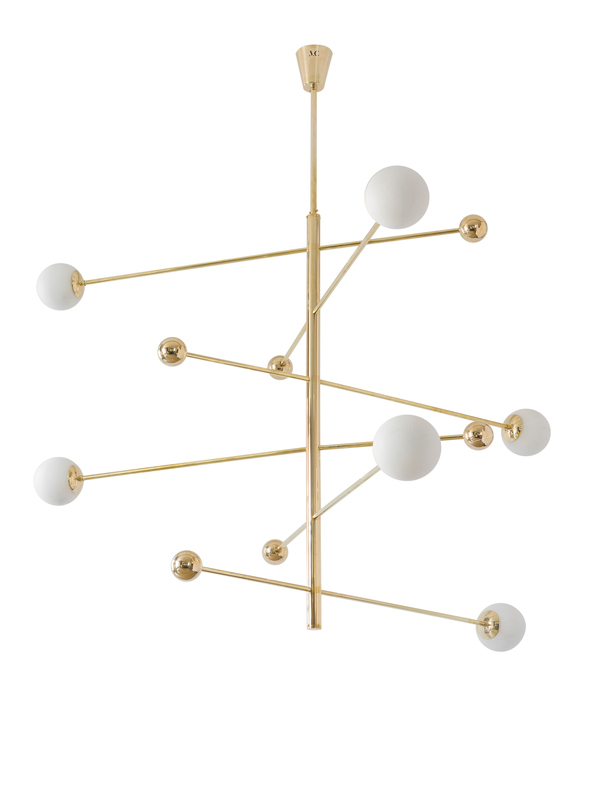 Left: Dornstab Floor Lamp. 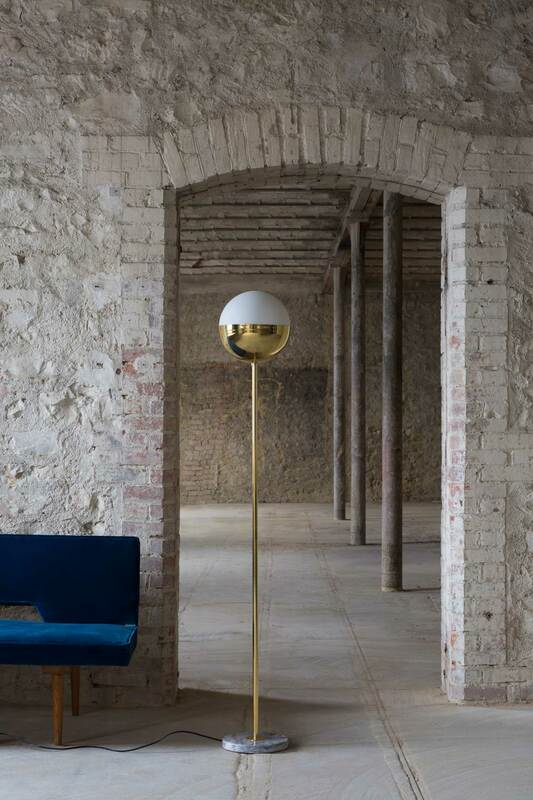 Right: Hase Floor Lamp. 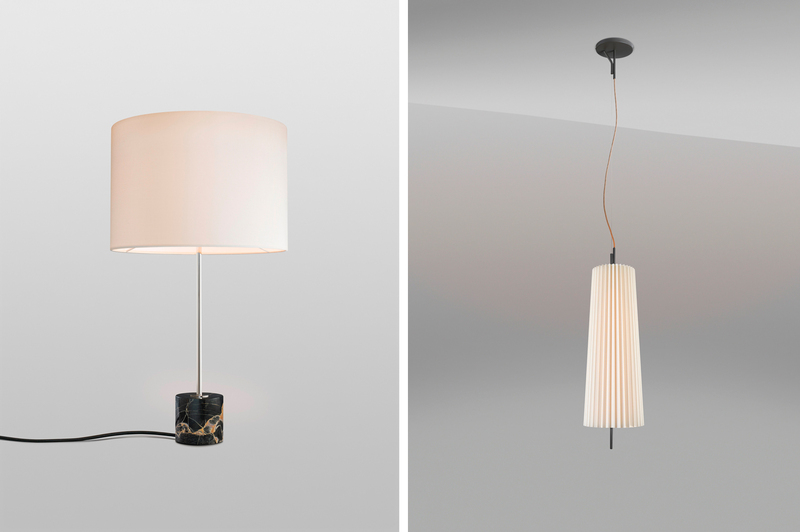 Kalmar Werkstätten Lighting Collection // Kalmar Werkstätten kicks off the New Year with the introduction of its new hanging lamp Fliegenbein PL and the first official presentation of the limited edition Kilo TL Nero Portoro table lamp that has almost sold out since its launch in October 2016. 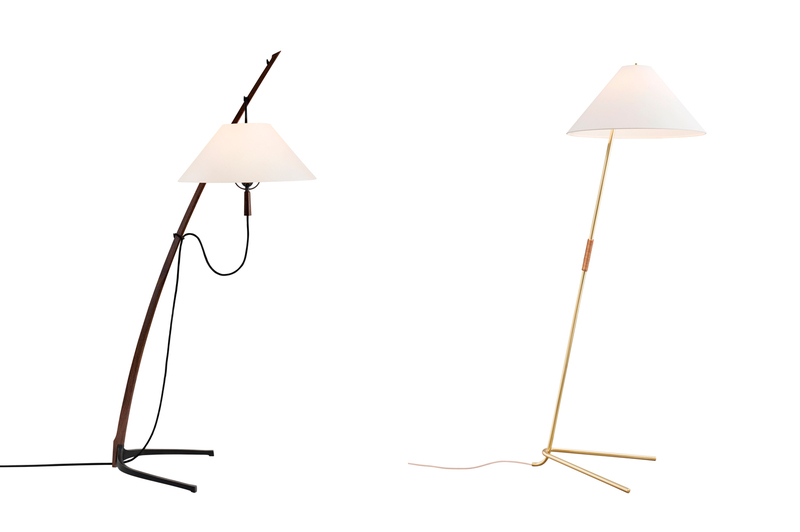 Although not technically new, we thought that Dornstab and Hase floor lamps were both still wordy of your attention. 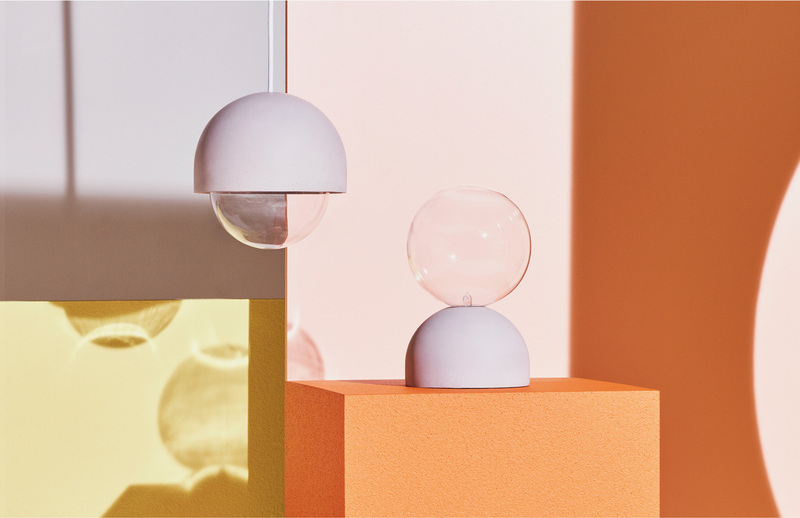 Lighting Collection by Magic Circus Éditions // Magic Circus Éditions originally launched in 2015, and although we’ve banged on about it last year, I thought it was definitely worth while reminding you of the collection’s exquisite beauty. 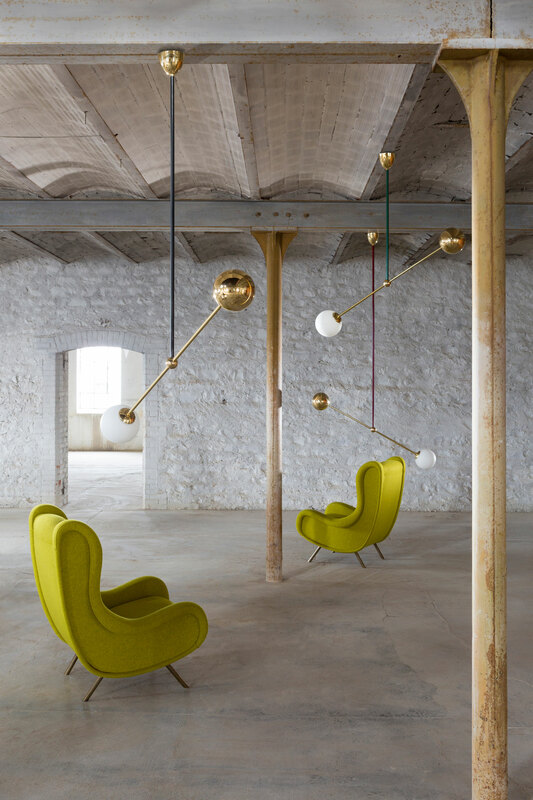 Magic Circus chandeliers and pendant lamps are produced in opalescent glass and brass by a workshop that prides itself for its traditional skills. 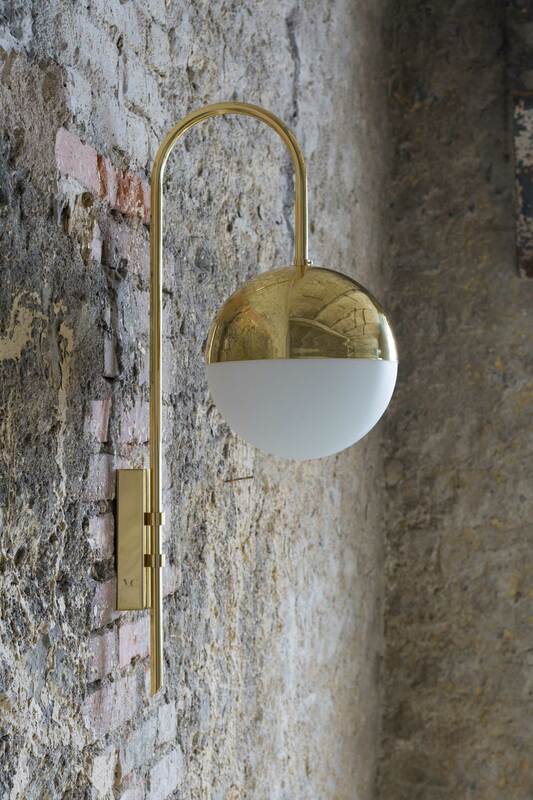 As the material of choice, the brass is interpreted as a lacquered polished version, with the option of a natural version that evolves over time and assumes its ultimate patina after a few months. Mila Table + Mila Bowl for Pulpo. 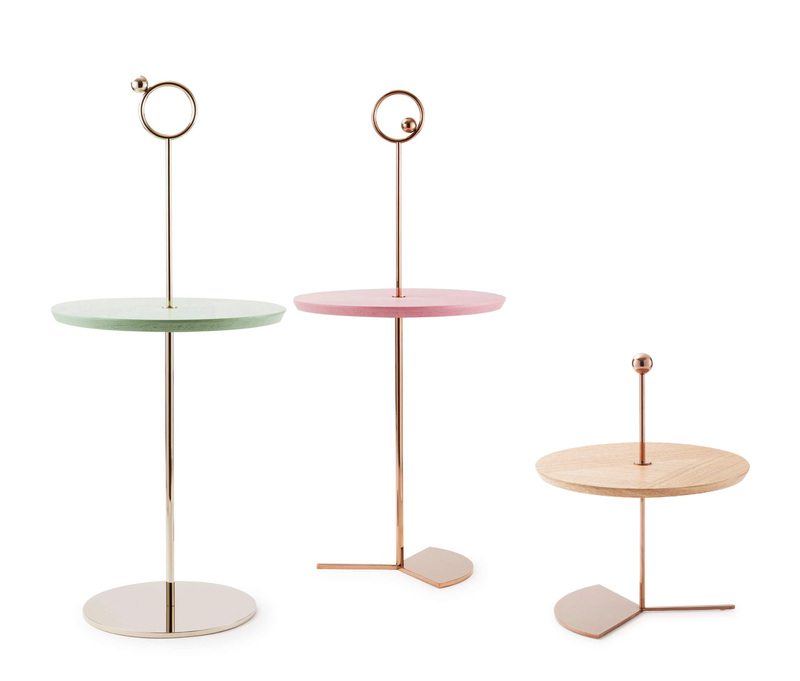 Font Round Tables for Pulpo. 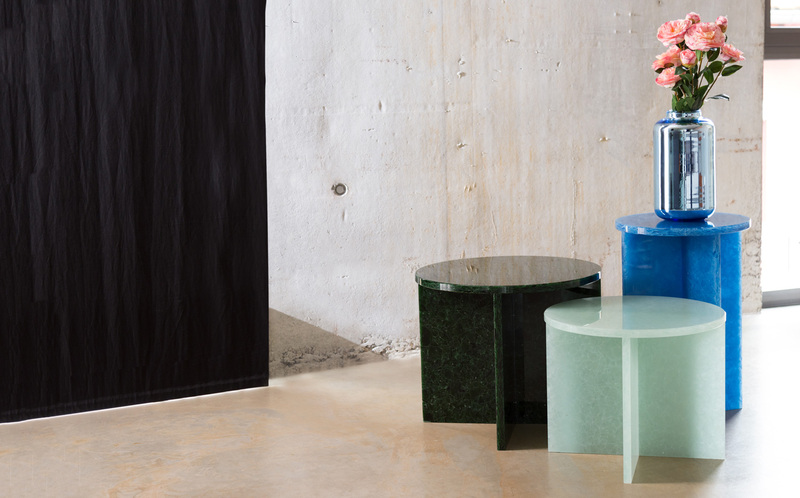 Sebastian Herkner’s New Collection for Pulpo // German designer Sebastian Herkner‘s latest creations for Pulpo are chubby coffee tables and shallow bowls. 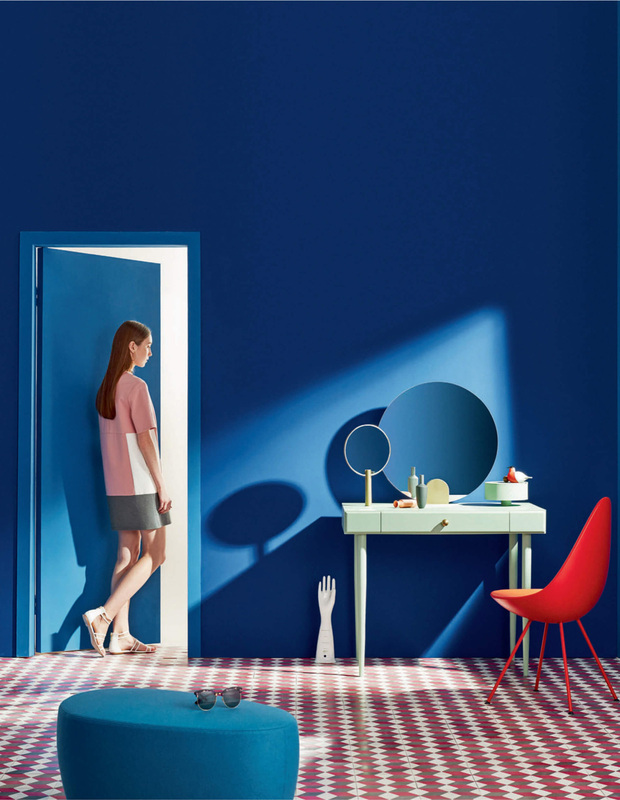 Herkner, who has had a long-standing partnership with the German brand, presented the Mila collection for the first time at the furniture fair in Paris. Both the coffee table and bowl are made up of two geometric shapes – a cuboid that forms the base and a half-sphere that creates the top. 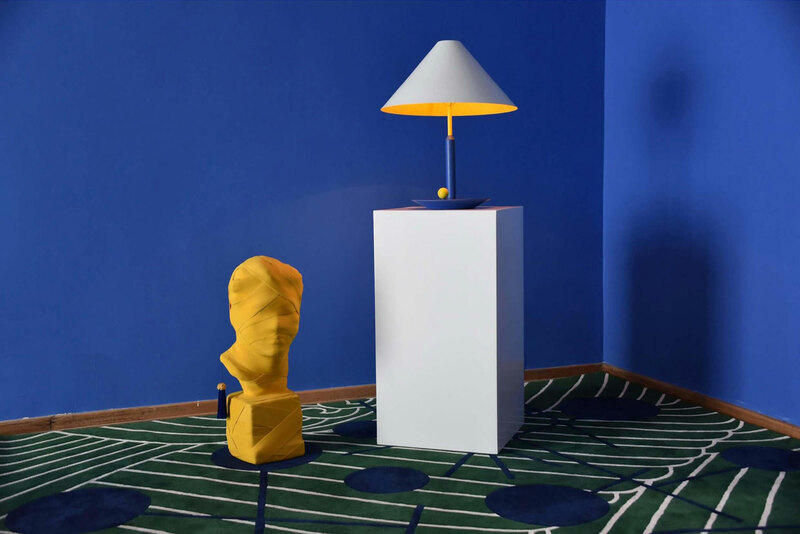 Described by the brand as “playful and brutalist”, the ceramic pieces are available in blue, grey, rose and yellow colours. 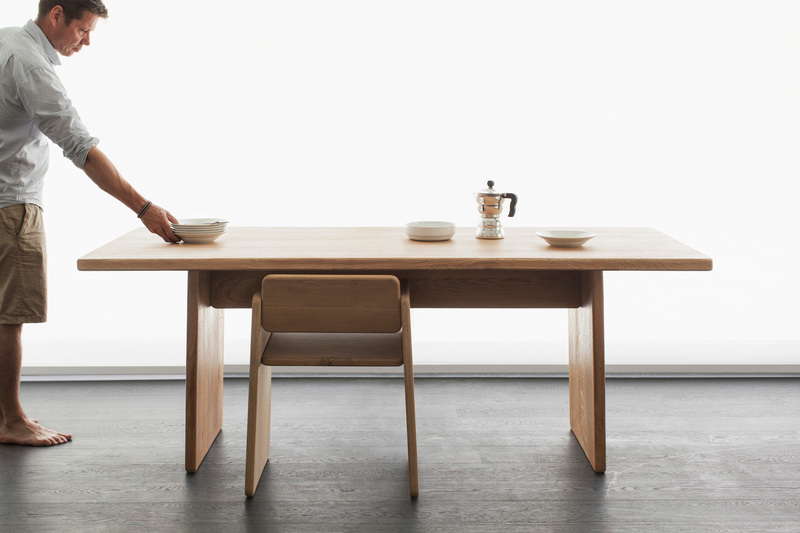 The table comes in three sizes, while the bowl comes in small and large. 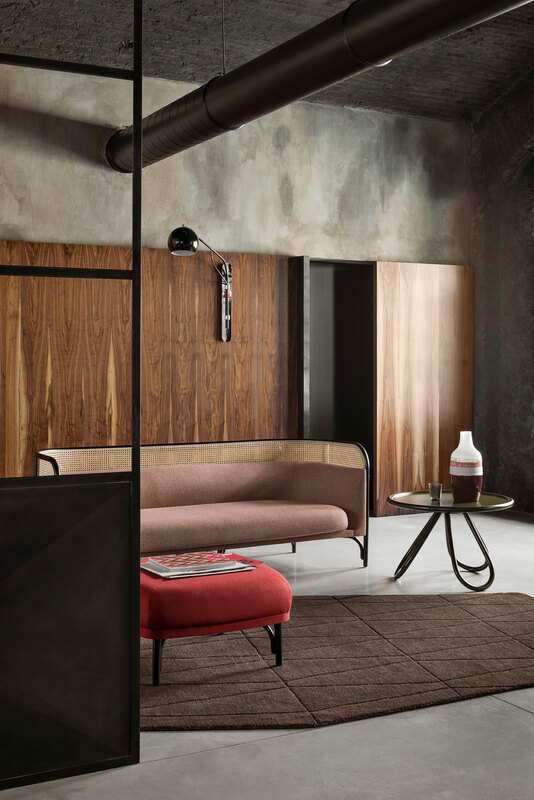 Targa Collection designed by GamFratesi. 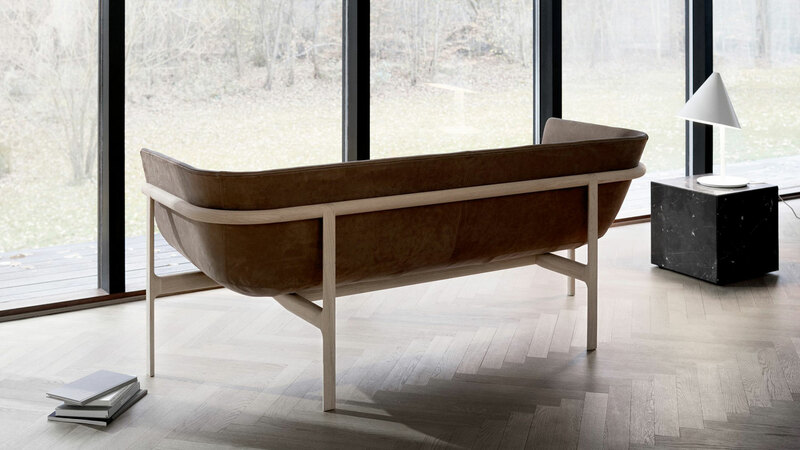 Targa Sofa designed by GamFratesi. 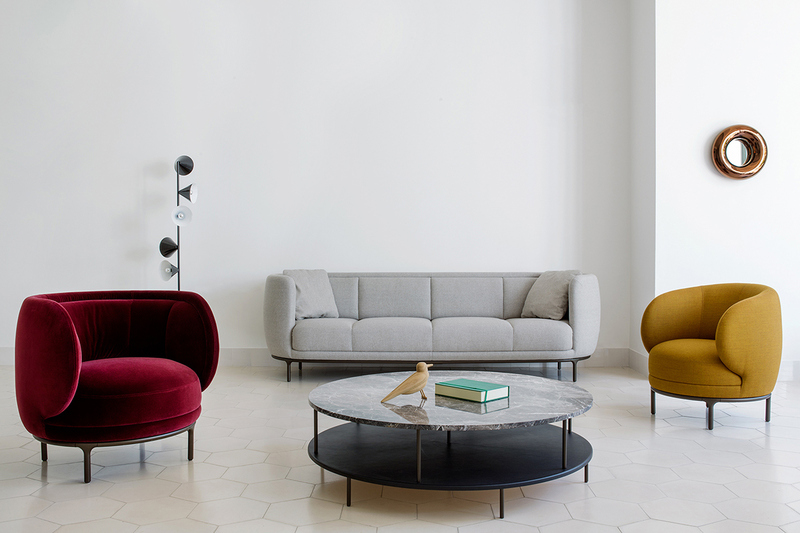 Targa Sofa, Lounge & Pouf designed by GamFratesi. 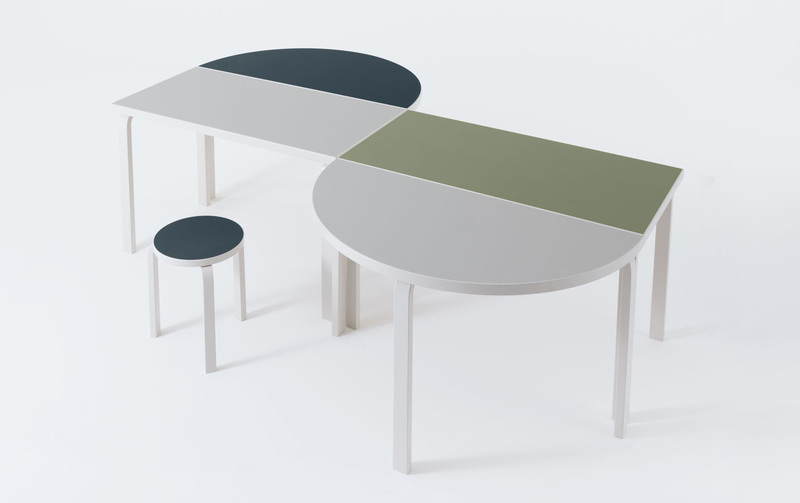 Single Curve low table designed by Nendo. 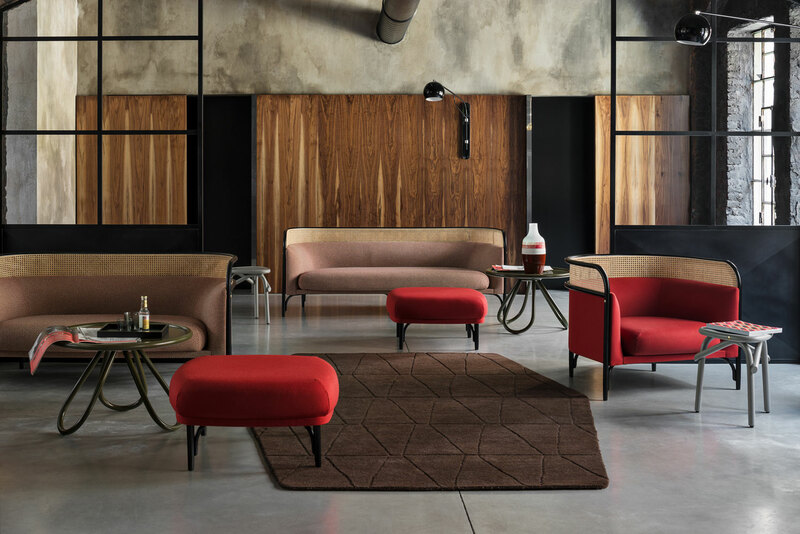 New Products from Gebrüder Thonet Vienna GmbH (GTV) // GamFratesi’s TARGA Collection for Gebruder Thonet Vienna has been expanded with the addition of new sofa sizes, including a lounge chair and a pouf. 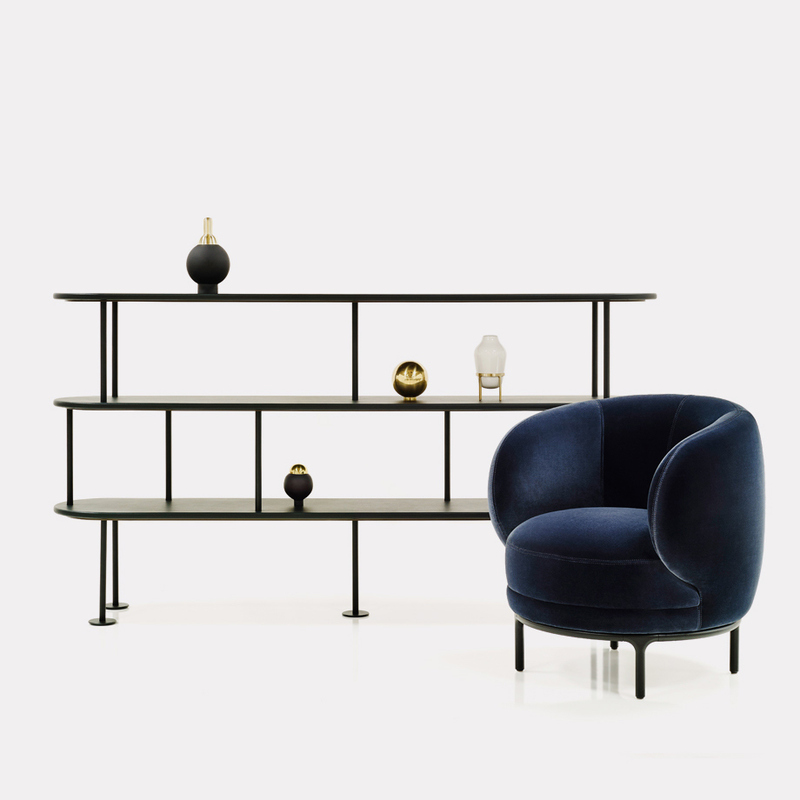 And although we’ve talked about how much we love this collection in the past, these new images are only reinforcing both our love for the collection and for GamFratesi. 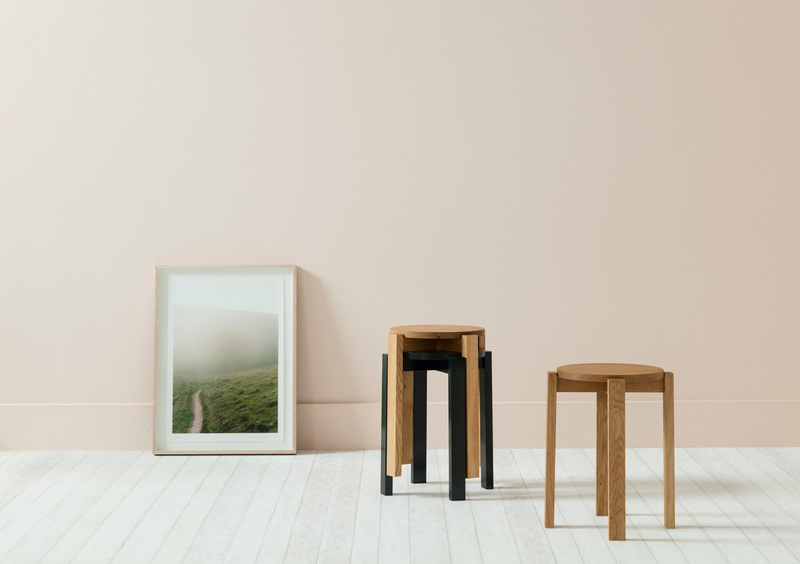 To complete the set, a small table and stool from the SINGLE CURVE collection, part of an extended existing range designed by Nendo, offers a beautiful interpretation of Japanese minimalism. 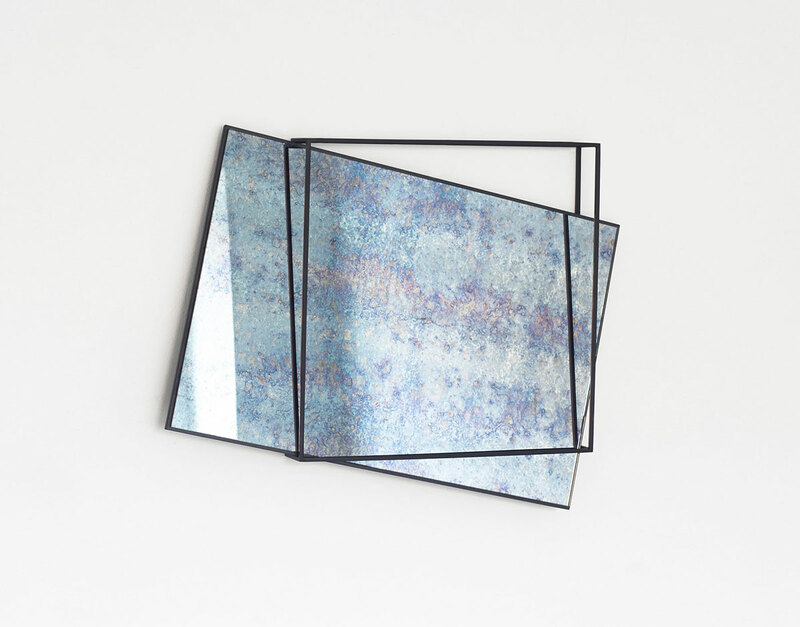 Miro Mirror by Meike Harde for Pulpo // German designer Meike Harde has created a mirror-coat rack combination for German brand Pulpo, which uses an oblong mirror set askew in a metal frame. The exposed frame struts can be used as a coat rack. The mirror floats freely in the frame. This free positioning, together with the frame‘s rectilinear contour, bring visual focus to the dominating decorative mirror pane. 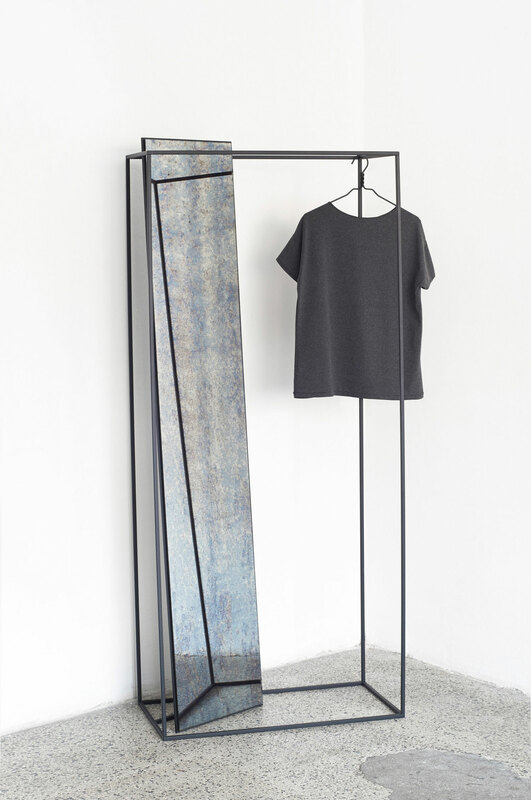 The floor mirror‘s frame both defines a space and functions as a coat rack. 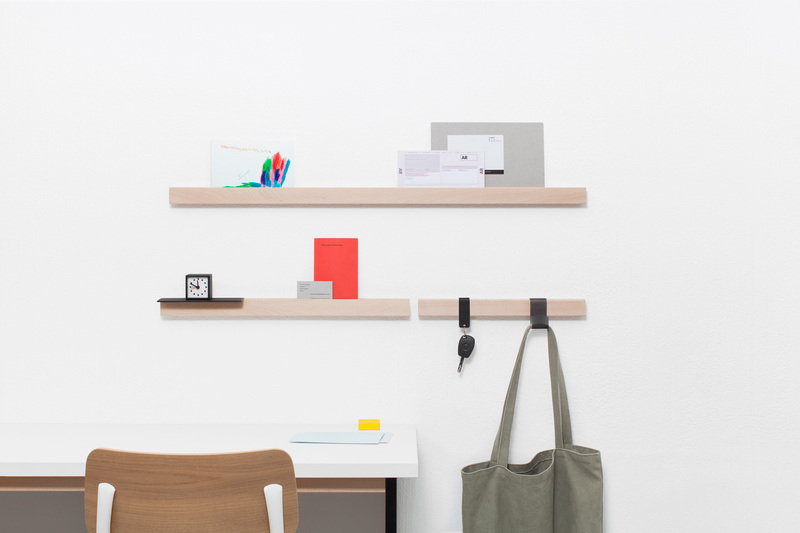 The framework separates the coat rack from its surroundings and creates a useful open volume. The wall mirror pane is freely placed in the frame at any desired angle. 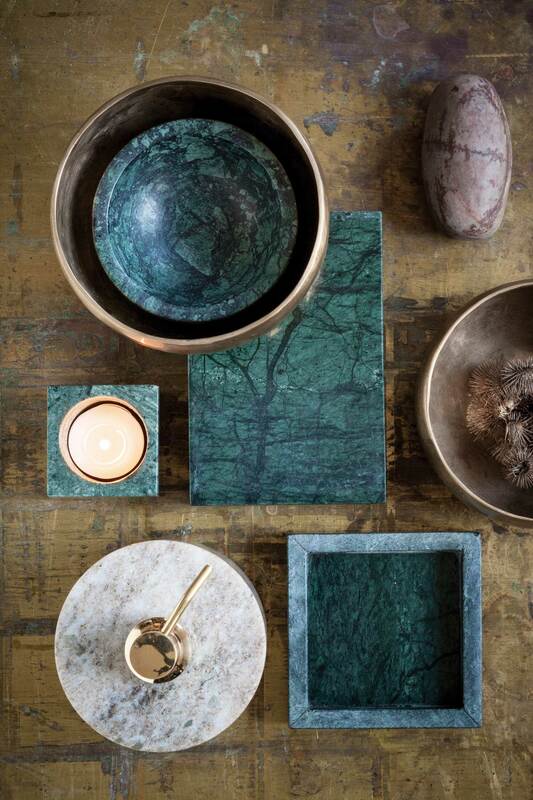 Miro uses an ecological marbling process free from copper and lead. The mirror‘s decor does not effect the image. 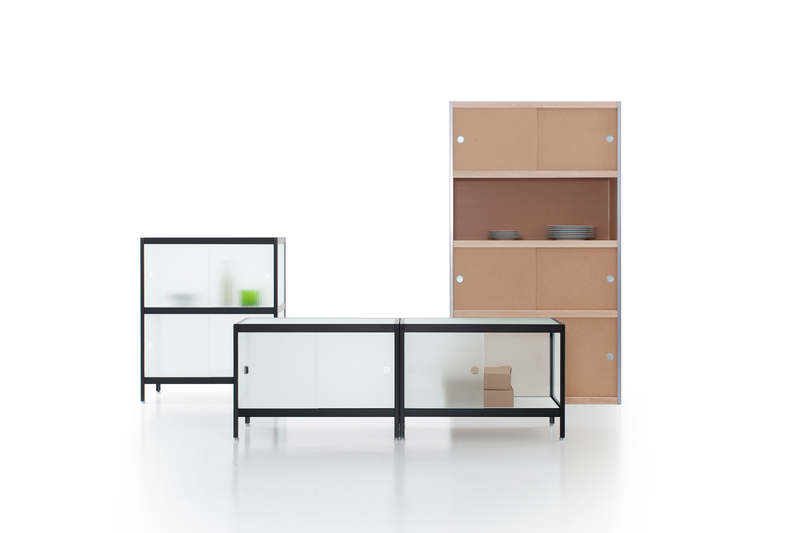 The frame can also be fully dismantled, making for a highly customisable piece. Images courtesy of Belgium is Design. Photography by Christophe Coënon. Art Direction by Claire Silva Moreira & Thierry Cosson. 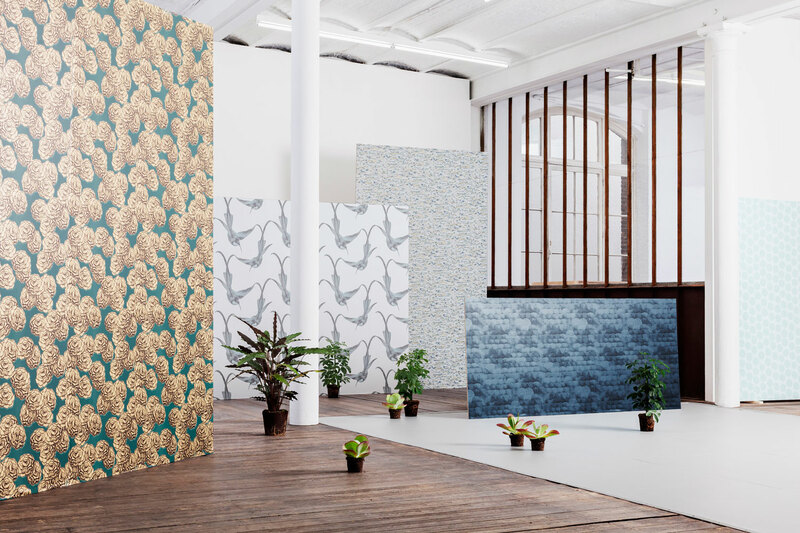 Balsam Collection by TENUE DE VILLE at Belgium is Design // BALSAM wallpaper collection by young Belgian designer Alexia de Ville de Goyet surprises with its subtle metallic shades and velvety inks conveying depth and richness, and colours that feel equally calming, energising and mesmerising. The collection is made in Belgium using water-based inks and FSC certified paper, ensuring the highest levels of sustainability. Images courtesy of Belgium is Design. 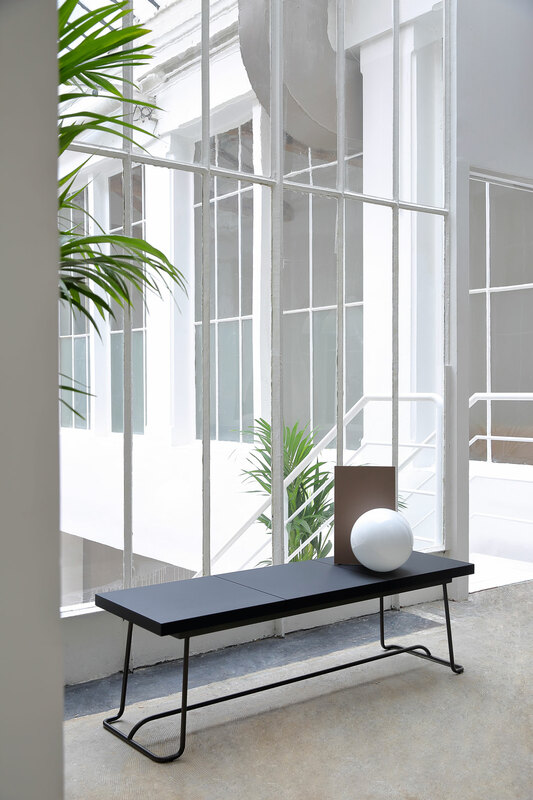 BOARD Collection by Julien Renault at Belgium is Design // Julien Renault‘s BOARD collection presents a strong, well-defined identity with simple lines and iconic design. Designed to integrate seamlessly into any modern or traditional interior, the collection emphasises the quality of timber via the use of invisible joining method. 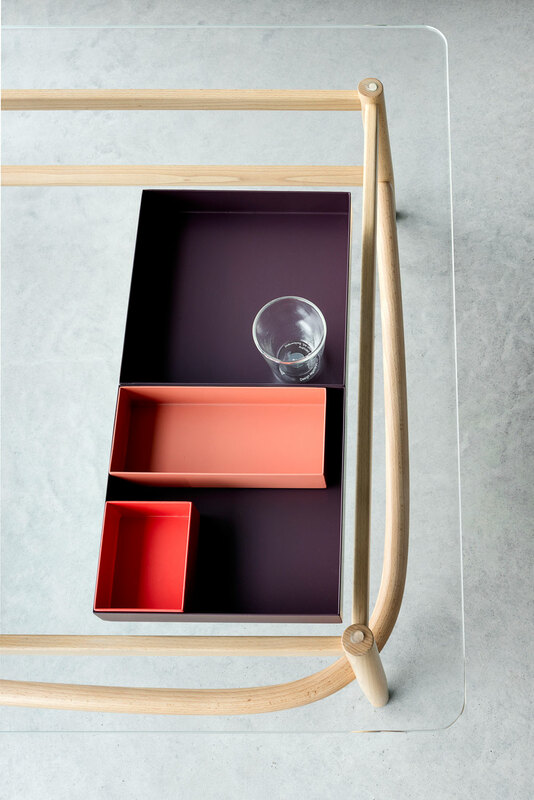 Kewlox Storage Cabinet and TRACKS System by Julien Renault at Belgium is Design // An icon of Belgian design, the KEWLOX storage cabinet is based on an ingenious assembly system, allowing multiple and timeless configurations. 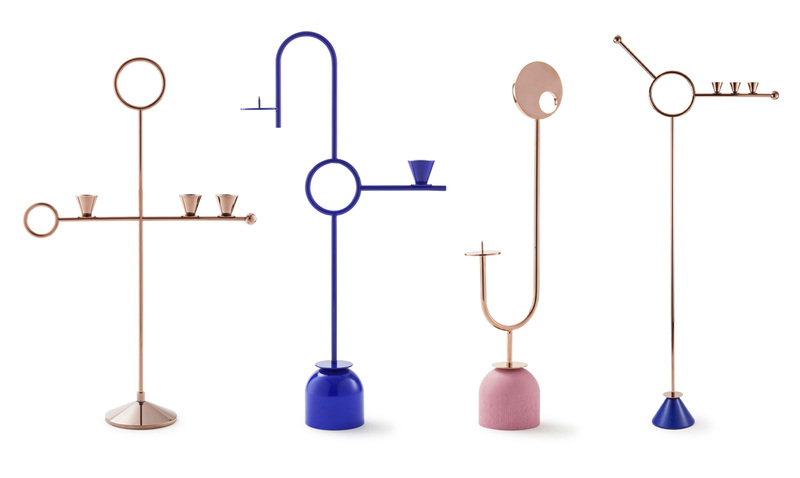 The exclusive MIST collection designed by Julien Renault completes the range. Considering the structure as a window frame, the designer exposes the simplicity of the system through the use of textured and translucent glass, revealing the image and the colours of the objects it contains. Modular House. Images courtesy of Belgium is Design. 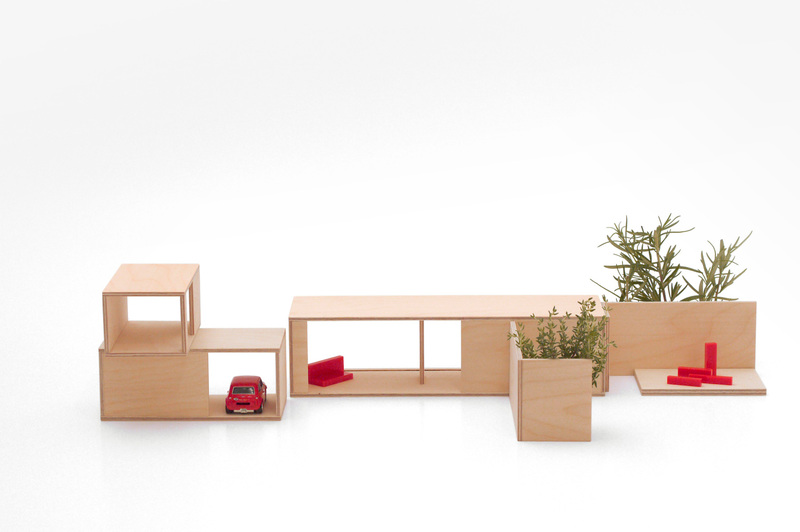 Mini Box & Modular House by Mini Archi at Belgium is Design // It’s no surprise the line of sleek and contemporary houses from MINI ARCHI comprise the brand founded by parents who happen to be architects and designers. 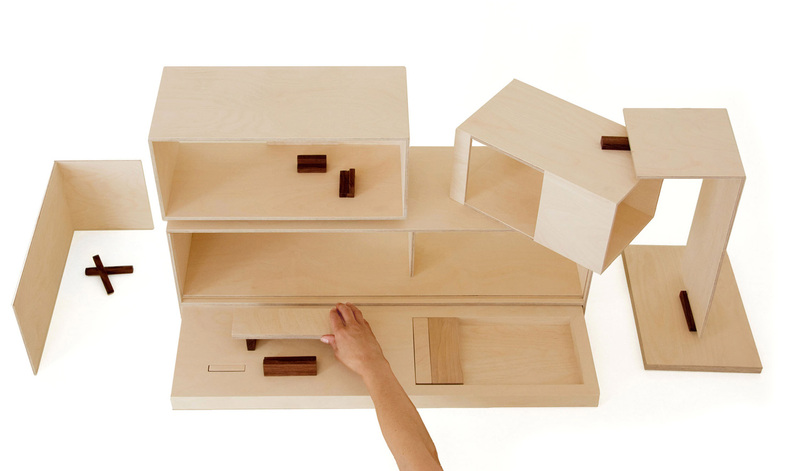 This Belgian brand’s modular and modern houses re-invent dollhouses for the modern age, with clean lines and sustainable materials. The modular house is as functional as it is sleek, with a main drawer and sliding panels. Each module can become the room of your choice, perhaps a garage or a bedroom; while the panels can be used as side awnings or walls. 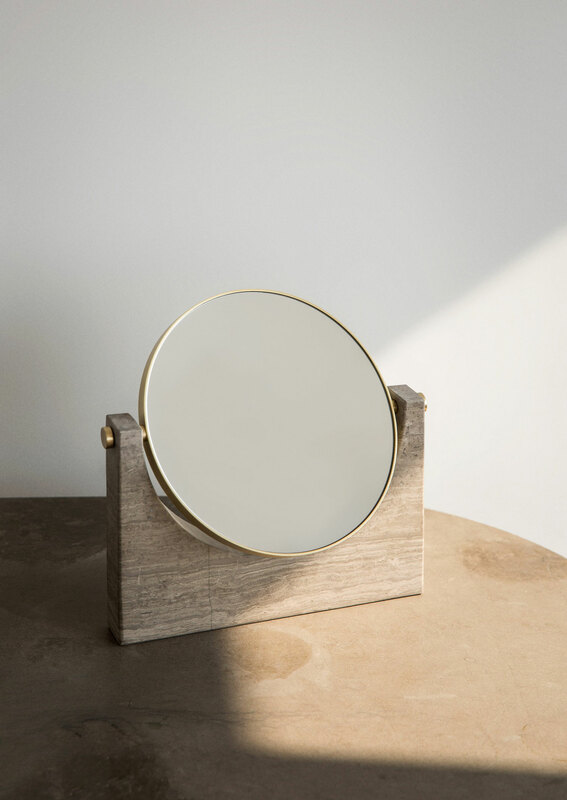 Frame by Norm Architects for ex.t // For their debut appearance at the winter edition of Maison & Objet, Ex.t launched a special edition of Frame furniture system designed by Norm Architects, as well as a brand new line of mirrors designed by Samuel Wilkinson. Left: Primates Kandti (Golden monkey). Right: Primates Brazza (DeBrazza’s monkey). 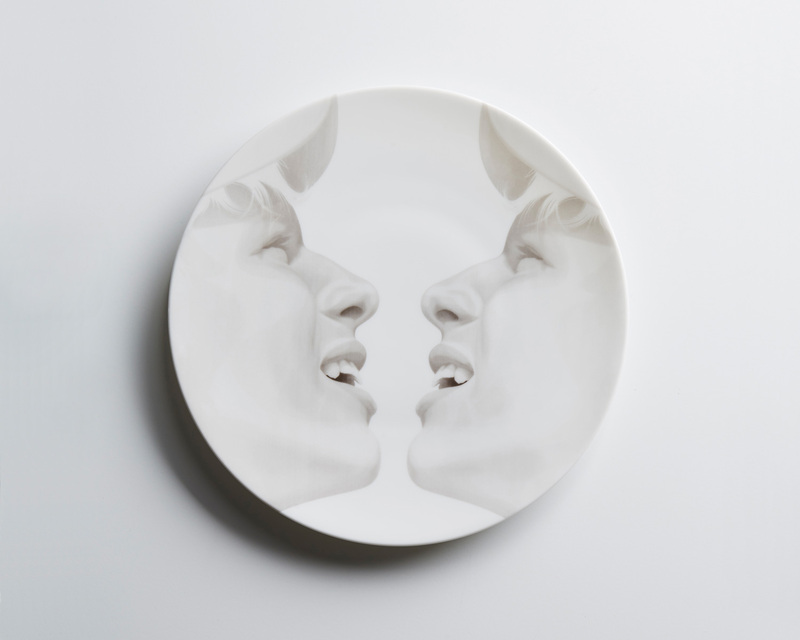 White Collection by Julien Julien for TH Manufacture // Created exclusively for TH Manufacture by Amsterdam-based illustration studio Jules Julien, the ‘White Collection’ contains a set of diner plates featuring ‘white’ drawings with five intriguing characters and narratives. The delicate white drawings suggest the fragility of porcelain and a human tactility: the twist of a wrist, the reflection of a satin bow, the murmur of lips into an ear. The Accidental Expressionist by Martyn Thompson Studio for 1882 Ltd // New York-based Martyn Thompson Studio has joined forces with design-led ceramics company 1882 Ltd for a collection that celebrates Thompson’s family roots in Stoke-on-Trent and his great aunt, the revolutionary ceramicist Susie Cooper. 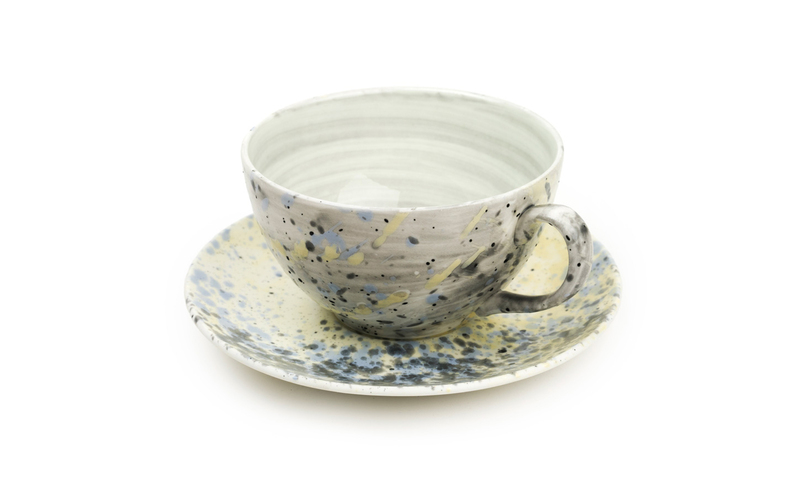 The collection comprises of a patterned tea pot, whose shape is accredited to Susie Cooper, two cups and two saucers. 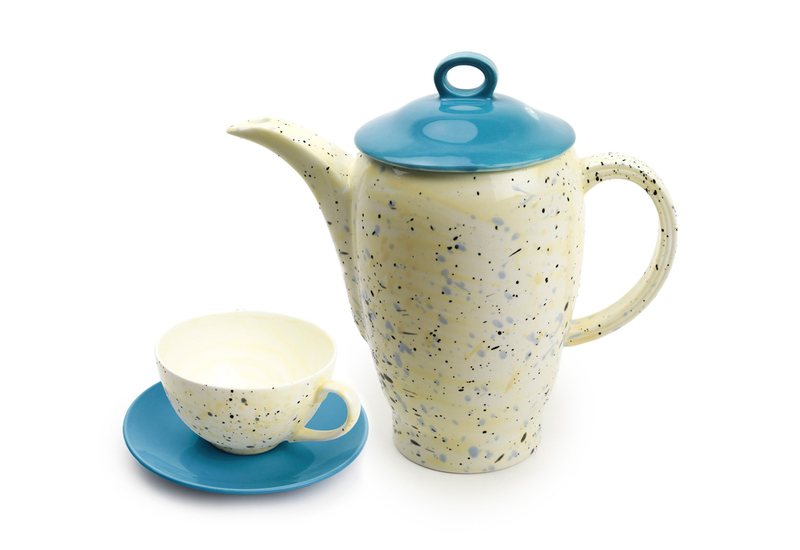 The Accidental Expressionist is a personalised collection, allowing the user to mix and match the pieces, whether each time they use them, or when purchasing their own tea set. Left: “The Net Next to the Nest” or N.N.N. by Federico Pepe. Right: After Party by Garth Roberts. Left: Chipo by Zaven. Right: Zo by Zaven. 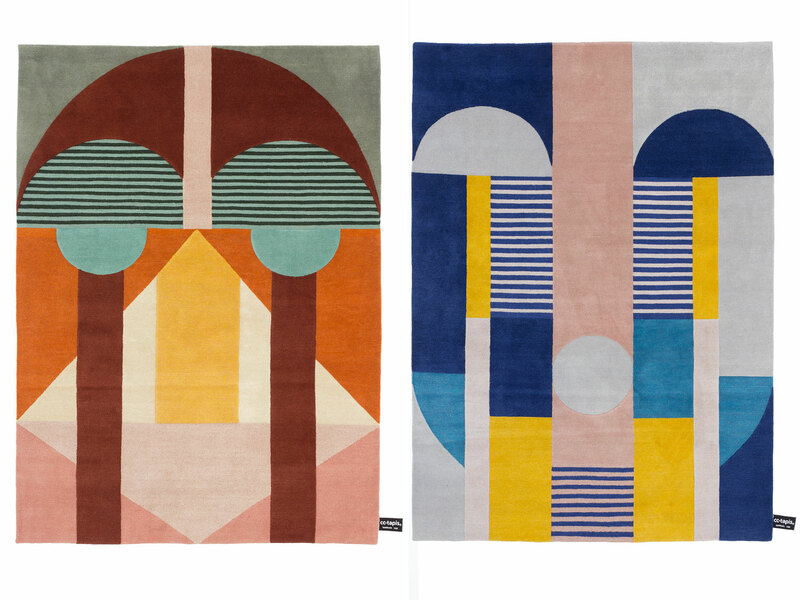 The ZO and CHIPO rugs were inspired by traditional African masks. Left: Lanolin Black by Daniele Lora. Right: Lanolin Cipria. 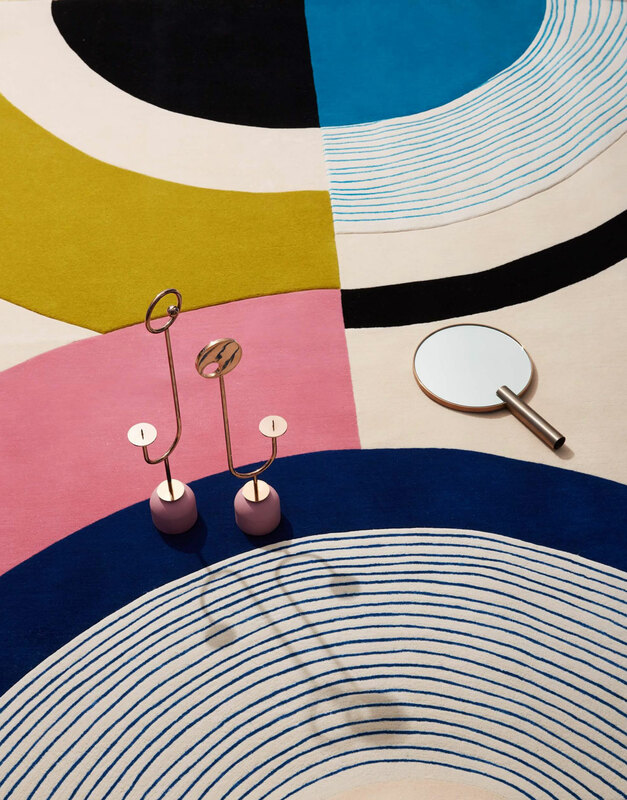 New Collections from cc-tapis // The new rug collection by cc-tapis features distinct aesthetics and personalities, with a shared common element: a focus on materials. 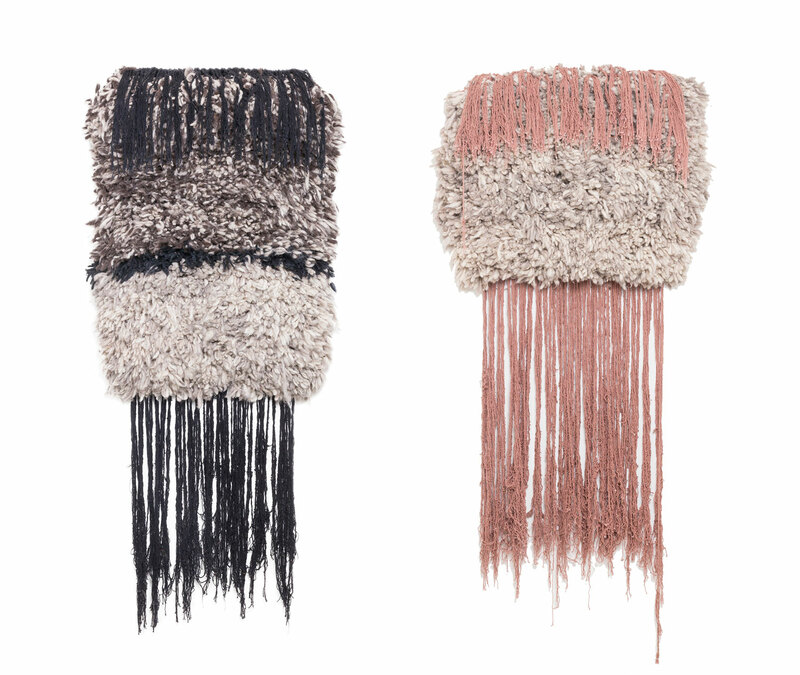 A series of designers have expressed their different sensibilities, united by the artisanal capabilities of cc-tapis. This union between creativity and craftsmanship has set the tone for the development of unique knotting techniques, patterns, colours and designs. 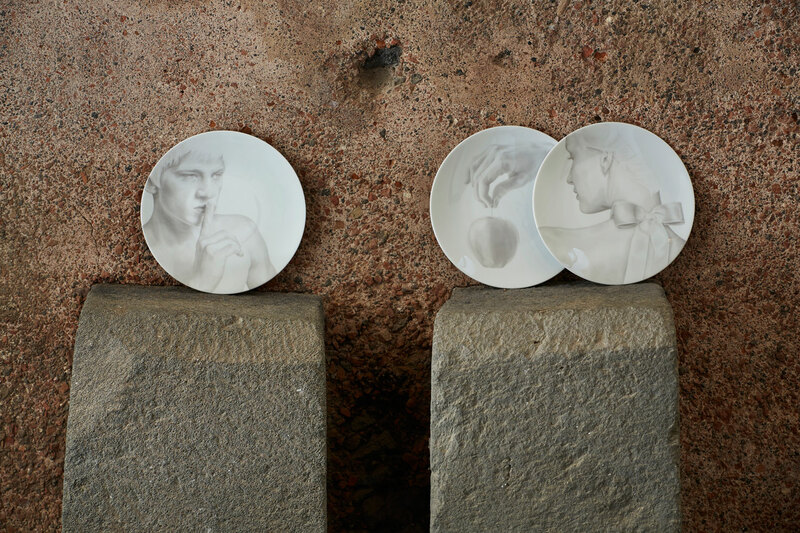 Hybrid Collection by CTRLZAK for Seletti // Originally presented in 2011 by CTRLZAK and SELETTI as tableware, the Hybrid Collection continues to celebrate the contrast and similarities between the Eastern and Western aesthetics. 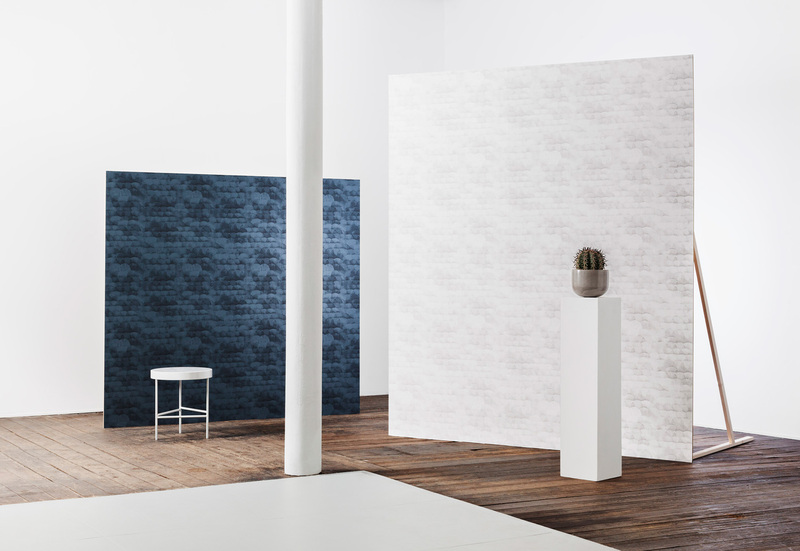 This year the designers have expanded the range that follows the same principle as tableware, but this time as a collection of rugs. 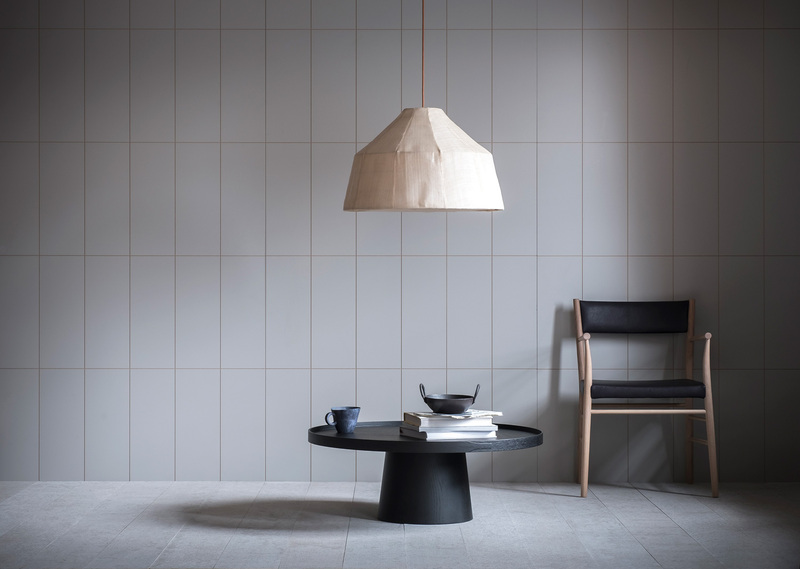 New Collection from Menu // Danish brand Menu has extended their collection of furniture, lighting and accessories, all of which follow the modernist principles of Scandinavian design and architecture. Each piece is tailored to modern living, with each piece of furniture and accessory designed to suit both large and small homes. 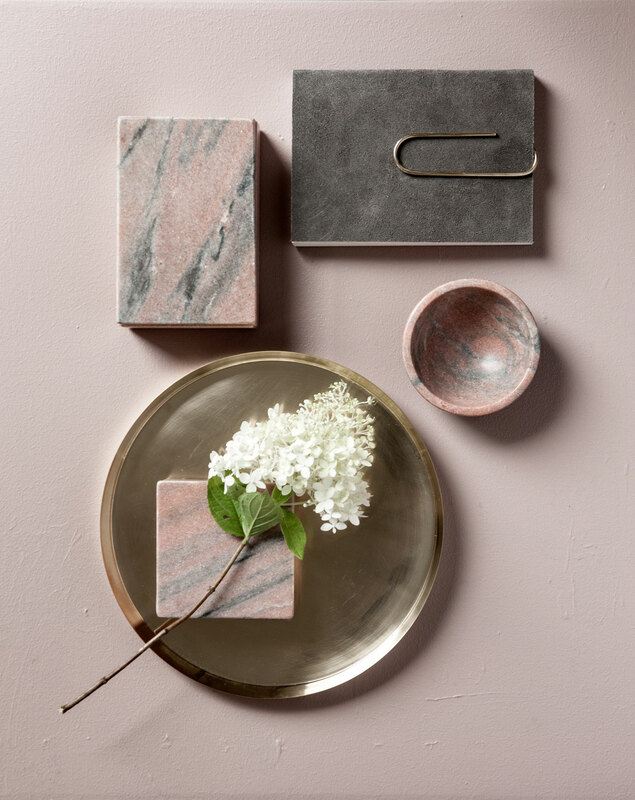 New Products by Nordstjerne // Danish brand Nordstjerne has expanded their accessory collection featuring materials such as suede marble and brass. 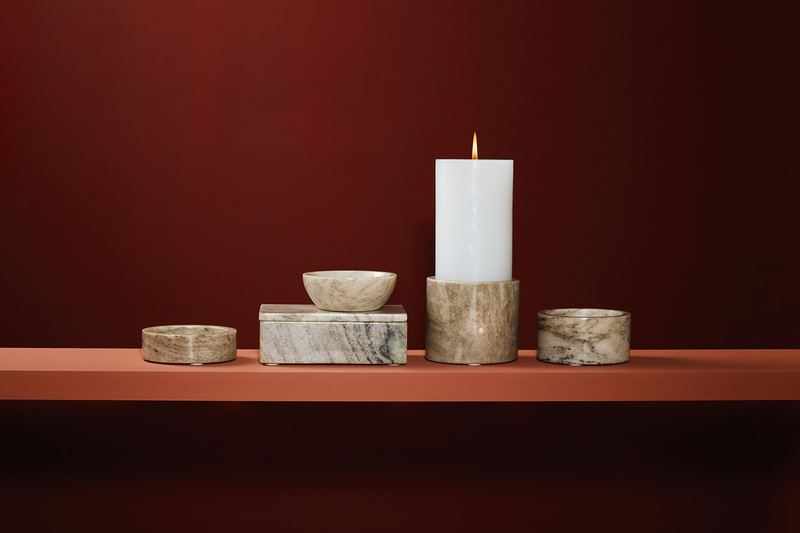 Nordstjerne designs home accessories inspired by the rawness of the Scandinavian and Greenlandic landscapes. 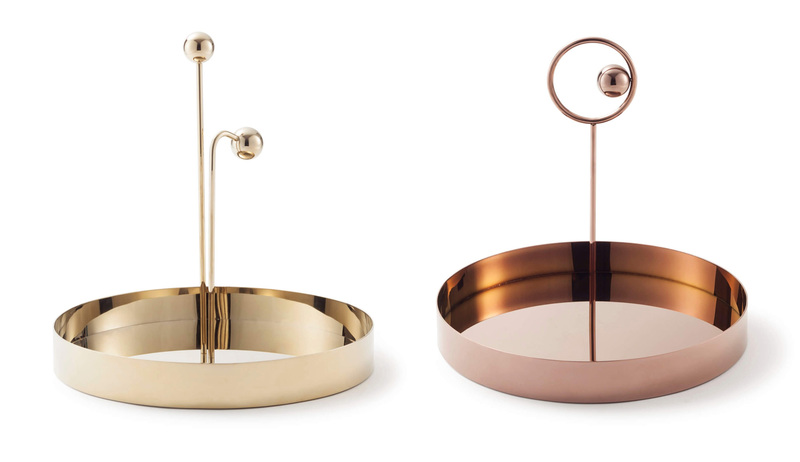 Functionality meets decadence in the accessories, that fits any interior. Nexus. Photo by Alberto Lamback. Camber. Photo by Jonathan Middleton. Murmur. Photo by Jonathan Middleton. 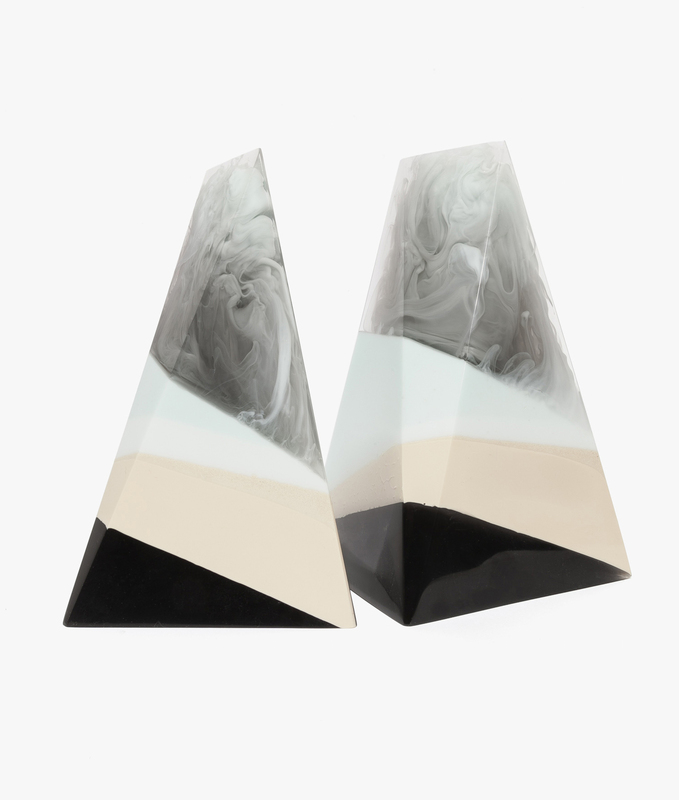 Resin Works by Zuza Mengham // Back in September, when she was busy unveiling Sculpting Scent with Laboratory Perfumes at The Conran Shop for LDF, you couldn’t stop us raving about the London-based artist’s astonishing resin sculptures and creative talent. 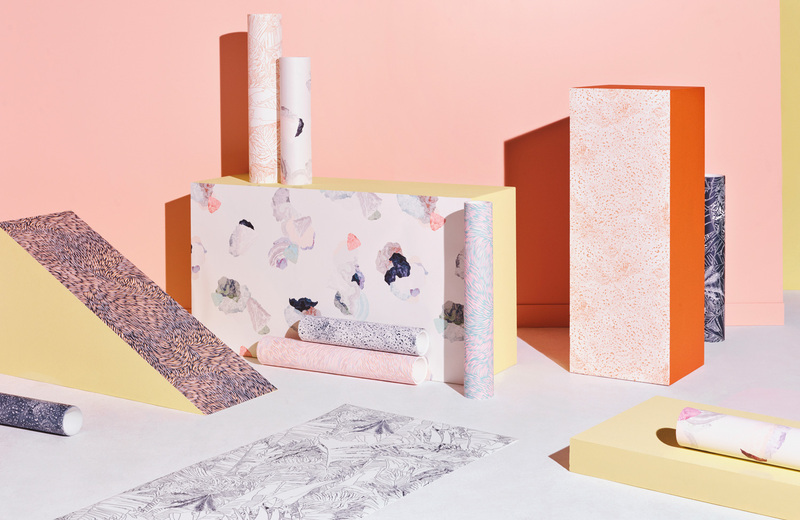 Now, she’s got the official Tom Dixon seal of approval, as the British design legend has picked her as his nominee for Rising Talent Awards UK – a new initiative for Maison & Objet whereby six of Britain’s design royalty each select an emerging star to showcase their work in Paris. 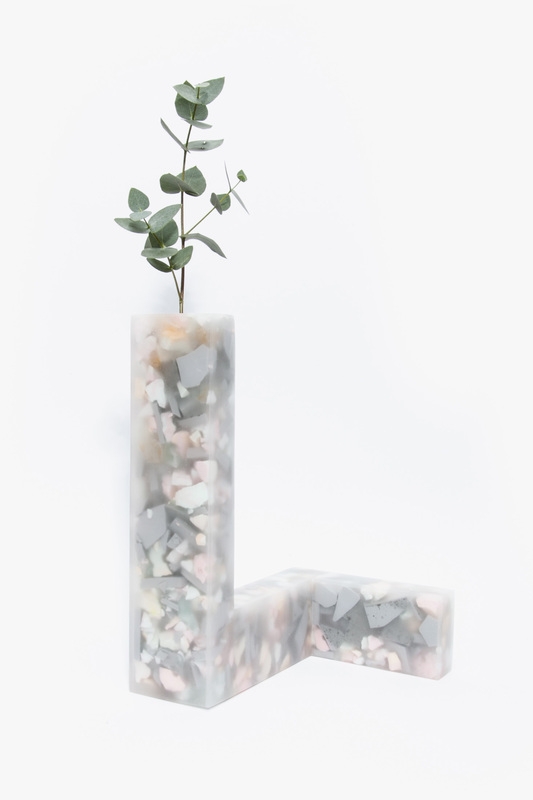 Zuza showcased her work on the Rising Talents stand at Paris Nord Villepinte, presenting her beautiful resin artworks – as well as a few new surprises, including her first piece of furniture. 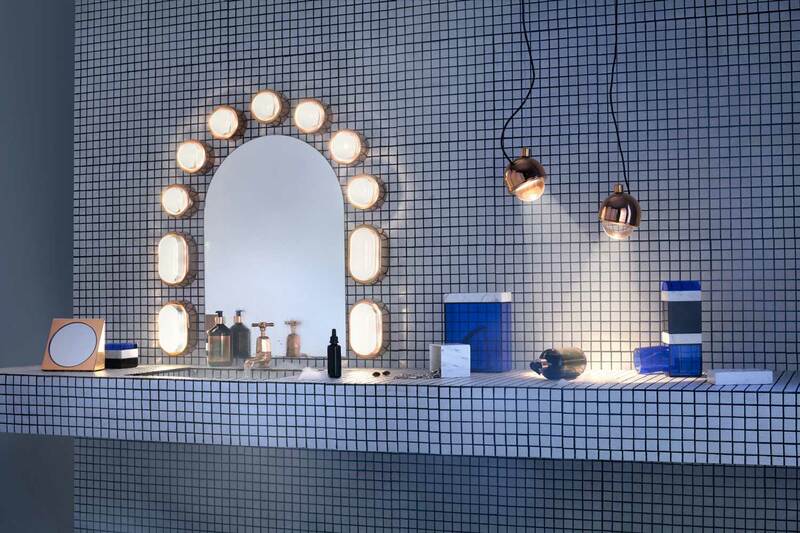 New Accessory Collection by Tom Dixon // Ever curious about all aspects of the home, this year Tom Dixon has explored the Bathroom and the Kitchen sink with a focus on functional storage, cleansing rituals, lotions and waterproof lighting. “We have been working on a multitude of hotel bathrooms, spas, apartments and restaurants and this revealed a new found passion for bathrooms and kitchens. 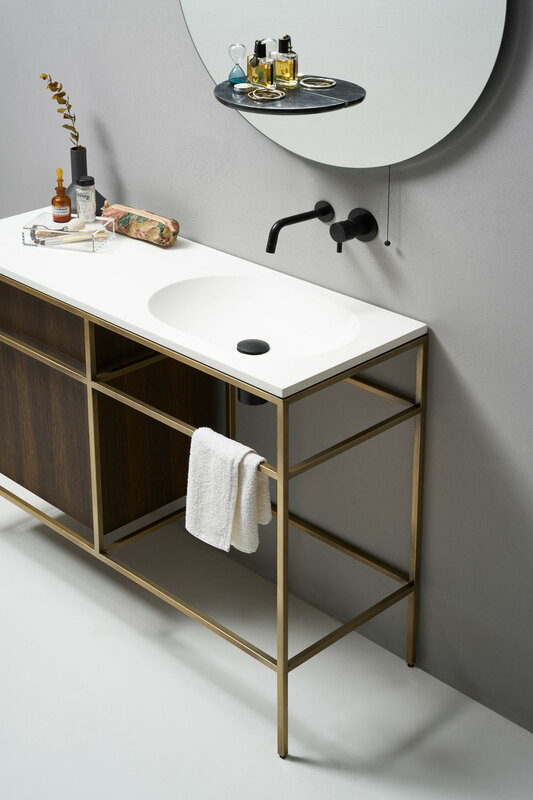 After working on some of the harder, tougher components of lighting and storage, it all felt a bit incomplete without looking at the softer elements… so it seemed only natural to start thinking of the lotions and potions of this most cleansing of spaces,” explains Dixon. This latest launch includes Washing up liquid, Hand Washes, Hand Balms and Hand Gift Sets, as well as multifunctional marble storage for the bathroom or the kitchen counter and copper-plated lights, all designed for wet environments. Workshop Brothers Specialty Coffee Shop in Melbourne CBD by The Stella Collective. Jasper Morrison’s Installation at the VitraHaus.